The Pacific Division has become the more competitive of the two divisions in the Western Conference. With the emergence of young powerhouse teams like Edmonton and Calgary, as well as the persistent efforts of perennial playoff favorites Anaheim and San Jose, it will be very difficult to earn one of the three playoff slots designated for the Pacific Division. Los Angeles has made drastic organizational changes to try to get back in the playoff hunt, and Vancouver will look to bounce back as Henrik and Daniel Sedin enter the final year of their contracts. Arizona made strides in accelerating its rebuild; though playoff contention is unlikely, there’s plenty of skill in the desert. The most significant change heading into 2017-2018, however, is the addition of the Vegas Golden Knights franchise to the division. This throws a plethora of unknowns into the picture, making the Pacific Division arguably the most interesting division to watch this season. 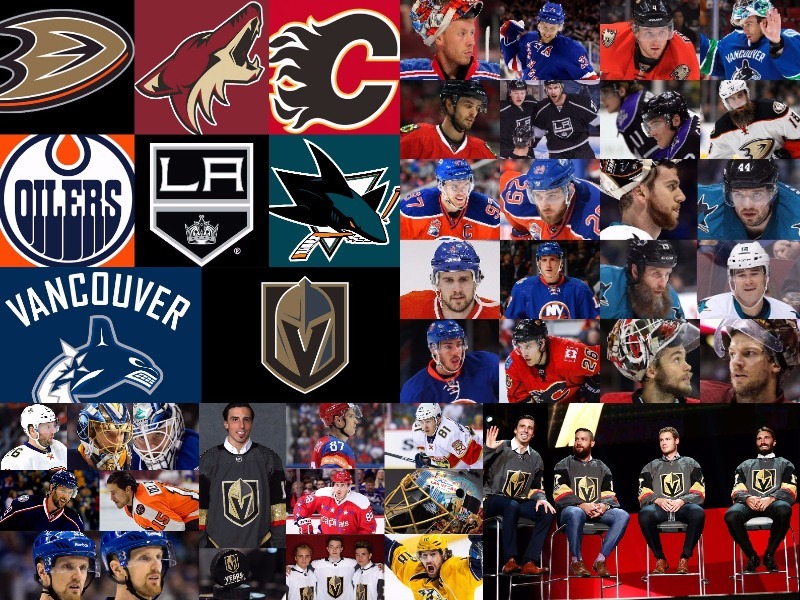 Here is an overview of the offseasons for the Anaheim Ducks, Arizona Coyotes, Calgary Flames, Edmonton Oilers, Los Angeles Kings, San Jose Sharks, Vancouver Canucks and Vegas Golden Knights. The Ducks won the Pacific Division for the fifth year in a row despite a valiant effort by the Edmonton Oilers that brought the race down to the wire. After sweeping Calgary in the first round, Anaheim ran into the pesky Oilers once again. The Ducks won the series in seven games, but it wasn’t without controversy. There were extremely questionable calls made in games four and five, both overtime losses for the Oilers. The Game 5 call was one of the most controversial goals of the season as many contested that Ryan Kesler held Cam Talbot’s pad in the crease for several seconds, preventing him from making a save. The referees allowed the goal despite video evidence showing goalie interference. In the end, the Ducks got the calls and got the wins, setting up a third-round meeting with Nashville. Ultimately, Anaheim lost in six games. But despite the disappointing finish, there are positive things to take away from the season. The play of 24-year-old Rickard Rakell was impressive, as he led the team in goals with 33, including 10 game-winning goals. His production was especially beneficial since Corey Perry had a miserable year, scoring just 14 goals through the first 73 games of the season and finishing with 19 total. The most significant takeaway from the season, however, is that Anaheim finally beat the game-seven curse that has plagued the organization for years. The Ducks were able to win a game seven for the first time since the 2005-2006 season, a season in which the team was called the Mighty Ducks of Anaheim. Even though the Ducks failed to reach the Stanley Cup Final, the game seven victory against Edmonton should not be taken lightly. Anaheim was faced with a sticky situation, like other teams, heading into the Vegas Expansion Draft. 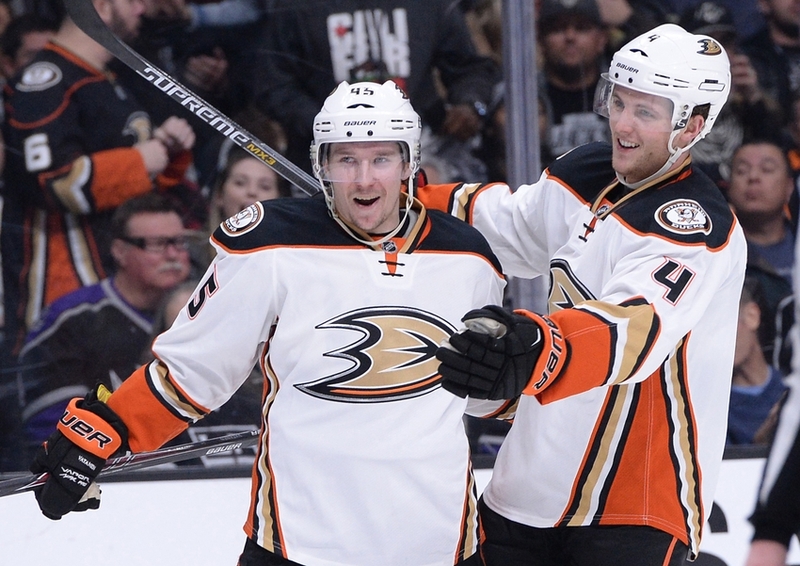 With five key forwards (Ryan Getzlaf, Perry, Kesler, Rakell, Jakob Silfverberg) and four key defensemen (Cam Fowler, Hampus Lindholm, Sami Vatanen, Josh Manson) to protect, some type of deal had to be arranged in order to keep all those assets in Anaheim. This was especially true since only two of the four defensemen could be protected given Kevin Bieksa’s no-movement clause. General manager Bob Murray made such a deal, but at a cost. 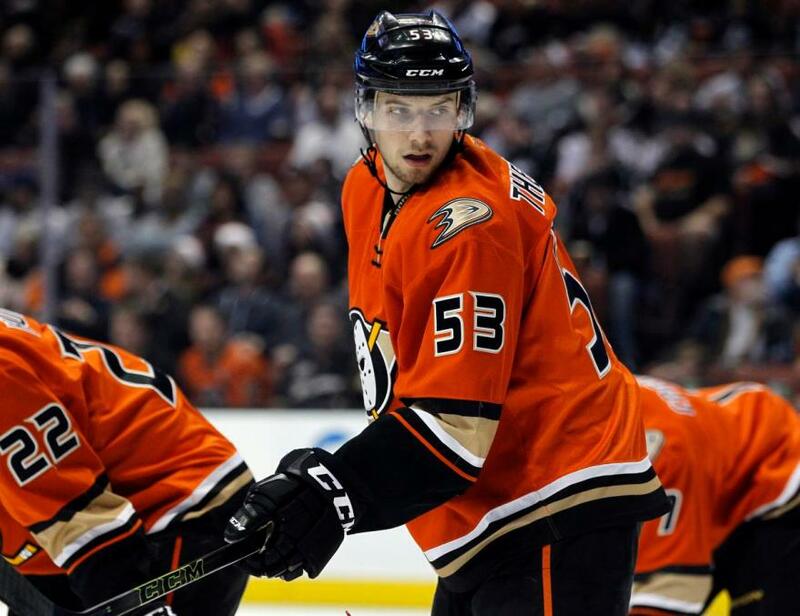 He was forced to part with talented young defenseman Shea Theodore, but doing so allowed the Ducks to retain Silfverberg, Vatanen and Manson. Those are three key players that will be crucial to this team’s success moving forward. Though a very valuable asset was lost in Theodore, who is primed to be a solid NHL defenseman, the retention of those players outweighed the negative consequences. Murray did what he had to do to protect this team. Plus, the deal led to Vegas using its expansion draft pick to take Clayton Stoner off Murray’s hands and off Anaheim’s books; losing his $3.25 million cap hit is a huge plus, especially for a budget team. It was practically a foregone conclusion that Cam Fowler was going to be dealt from the Anaheim Ducks as last season got underway. He had been on the trading block and was the subject of endless speculation. 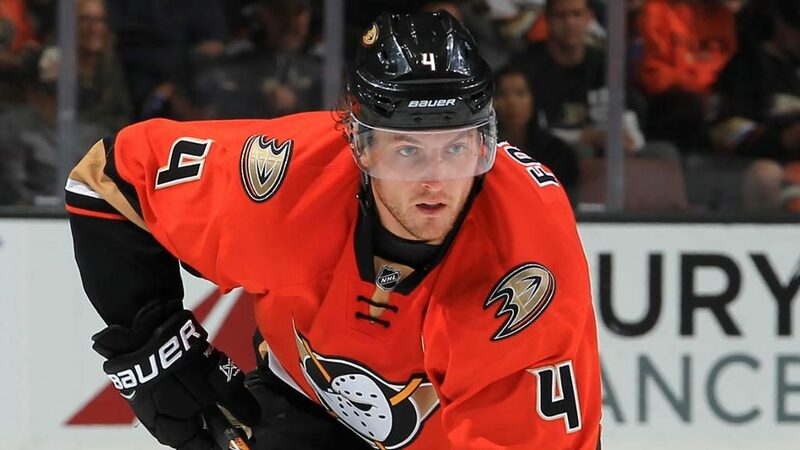 However, his 2016-2017 performance was so strong and so convincing that he was named an All-Star, remained with the team for the duration of the season, earned a protection slot in the expansion draft and solidified a place in the Ducks lineup for the next nine years. Considering his status in October, Fowler’s recent eight-year, $52 million extension is quite impressive and well-deserved after his statement campaign this past year. His statline of 11 goals and 39 points in 80 games only says so much. It was his production, his increased aggressiveness offensively (he averaged 2.33 shots per game compared to his previous high of 1.64) and his overall play that made his season exceptional. He left Anaheim no choice but to commit to him, and he will be a part of the core of this team for many years. It’s a great deal for the Ducks, too. A $6.5 million cap hit for a 25-year-old all-around defenseman is reasonable in today’s age, especially considering comparable contracts handed out around the league. Fowler still has one year remaining on his current deal at a $4 million cap hit, meaning he is signed for the next nine seasons. Clearly, Murray and the Ducks believe in Fowler, and for good reason. Locking him up long-term is a great move for the organization. 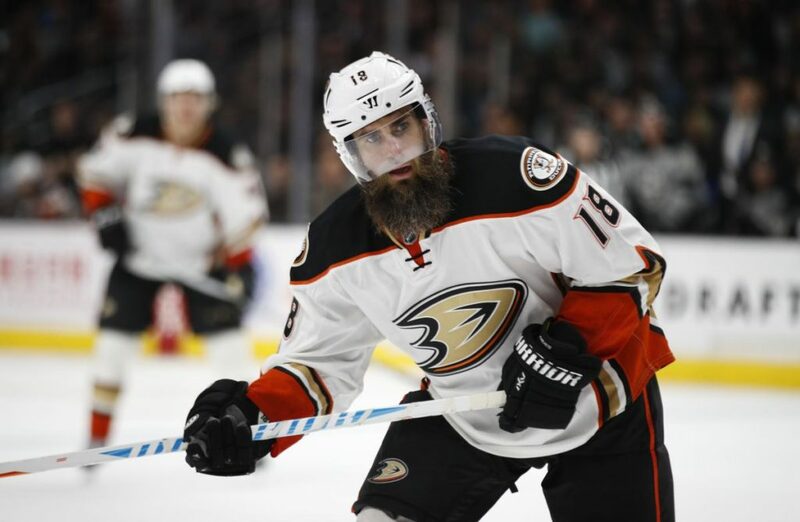 The Ducks acquired Patrick Eaves prior to last season’s trade deadline, and he fit in immediately. The rugged winger is coming off a career-high 32-goal season (21 with Dallas and 11 in 20 games with Anaheim). He found instant chemistry with top-line center Ryan Getzlaf, chipping in 11 goals and 14 points in the final 20 games of the regular season. He added four points in seven postseason games before going down with an injury in the second round. Somehow, Murray was able to re-sign Eaves to a three-year deal that carries just a $3.15 million cap hit. Eaves, who was set to become an unrestricted free agent July 1, wanted to remain with the Ducks, which explains the lower cap hit. Nevertheless, it’s an outstanding deal for Anaheim. Acquiring a top-six winger for a conditional draft pick (even if it turned into a first-round pick) is an excellent move, but signing a solid top-six player capable of playing top-line minutes for around $3 million a year is an absolute steal. There’s no doubt Eaves would have commanded more on the open market, especially after the 32-goal campaign, but it’s clear he enjoyed being part of this club and believes in the team’s chances moving forward. If Eaves can remain healthy, he can be a lethal force for this Ducks team throughout the season and into the playoffs. The Ducks were forced to rely on backup netminder Jonathan Bernier last season as starter John Gibson missed time with various injuries. Bernier finished the year 21-7-4 with a 2.50 goals-against average and a .915 save percentage. However, he posted a .940 save percentage in the month of March after Gibson went down with yet another lower-body injury. That being said, he gave up six goals in five periods in relief of Gibson in the playoffs. Bernier signed a one-year deal with Colorado, leaving the backup role vacant. 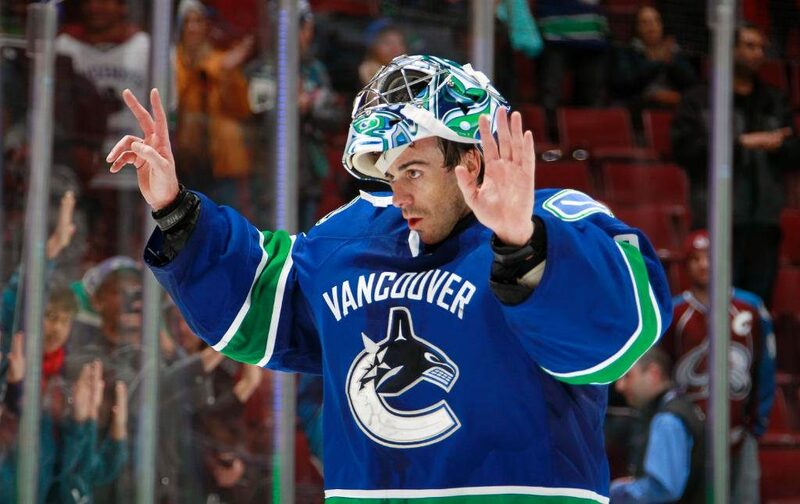 Luckily for Anaheim, Murray had a backup plan: Ryan Miller. The deal itself is very reasonable; two years at a $2 million cap hit is excellent value and less than half as much as Bernier’s $4.15 million cap hit. He and Gibson will count for a combined $4.3 million against the cap this season. 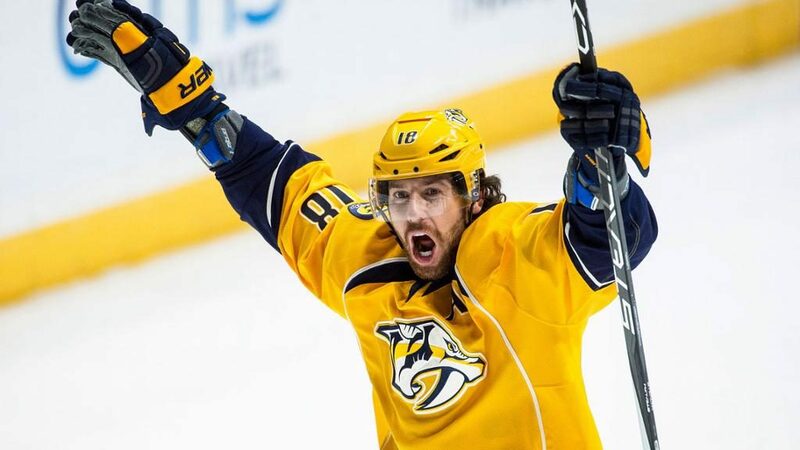 Plus, Miller’s not your average backup; he has a lot left in the tank. He may be 37, and he may not be the player he was years ago in Buffalo, but he is far from done. Miller managed a .914 save percentage behind one of the worst teams last year in Vancouver; imagine what he can do behind one of the best blue lines in the entire league. Also, it has been reported that he has changed his offseason training program and overall style of play to help minimize stress on critical areas prone to injury. Imparting some of this knowledge on 24-year-old Gibson could be very beneficial to the Ducks down the line, especially considering how many injuries Gibson has suffered in his short NHL career. All in all, this could be considered the Ducks’ best move of the offseason. Is there risk in bringing in a 37-year-old netminder? Sure. But this could be a huge win-win for a Ducks team used to having strong goaltending throughout the year. Anaheim has had a strong offseason without having to make many changes. With great contributions from players like Rakell and Silfverberg, Anaheim found a lot of success throughout last season and will look to do so again when the puck drops in October. This roster featured nine players with more than 10 goals last year; balanced offense like that does wonders throughout a long 82-game campaign, and the team’s youth is expected to make further progress this year. Fowler’s extension and the re-signing of Eaves were both excellent moves, and signing Miller to backstop one of the best defenses in the game was a savvy decision by Murray. Bringing Francois Beauchemin back into the fold gives this back end even more stability. Though losing Theodore for expansion purposes was a very tough blow, this Anaheim defense is one of the best and brightest in the league, with five defensemen under the age of 26. There’s a lot to like about this Anaheim team headed into next season. Getzlaf and Kesler provide an intimidating 1-2 punch up the middle, and Perry is bound to rebound this year after maintaining just an 8.8 percent shooting percentage, tied for the lowest in his career. Plus, the fact that the team finally broke through and won a game seven is a very good sign for the future. Since most of last year’s roster will return for the 2017-2018 campaign, Anaheim should make the playoffs with relative ease once again. 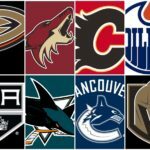 Not much was expected of the Arizona Coyotes, and the team didn’t disappoint, finishing sixth in the division, 12th in the conference and 28th in the league. Considering it was a year for a lot of young players to get their feet wet, the end result isn’t too concerning. Though some failed to meet expectations, the organization and its fanbase are hopeful that this year will bring a stronger collective effort from a team stacked with young talent and promise. One thing that will have to improve, however, is the play of star defenseman Oliver Ekman-Larsson, who had arguably the worst season of his career last year. For one thing, his production was down. Even though he finished second on the team in points, he had a down year with only 12 goals and 39 points. He put up 15-plus goals in each of the last three seasons, scoring 21 and 23 in 2015-2016 and 2014-2015, respectively, as well as 43-plus points in each of the past three seasons. It was an especially disappointing drop considering he put up a career-high 55 points in 2015-2016. His success on the power play also took a hit as he registered 19 points after 27 the year before. But it was more than just his production that left a lot to be desired. He turned the puck over uncharacteristically and did so far too often, he finished with a team-worst minus-25 rating and he got caught trying to do too much on too many occasions. The good news, however, is now that his general manager has brought in some veteran talent to help him out, he and his team could be set for a more spirited campaign. After losing the contracts of Chris Pronger and Pavel Datsyuk, both acquired to help the team reach the cap floor, some could have assumed the team would go and spend big on free agents. Instead, general manager John Chayka made a series of trades and otherwise stayed the course. Part of his offseason process involved ending ties with 40-year-old captain Shane Doan after 20 years with the organization. This was a clear sign that the team is in full rebuild mode, giving the reins to the young guns in the system. However, a series of trades brought in some key veteran pieces that will nurture this group of young players as well as stabilize all three components of the lineup: offense, defense and goaltending. Here’s an overview of Chayka’s actions. In a bold draft day deal, Arizona acquired center Derek Stepan and goaltender Antti Raanta from the Rangers in exchange for defenseman Anthony DeAngelo and a 2017 first-round pick (seventh overall). This was an excellent move for the Coyotes. Though Stepan never amounted to a true first-line center in New York, he is arguably the best center this team has had in years. At the very least, he can bridge the gap until some of Arizona’s superstar prospects are ready to take over. This team was in desperate need of at least one top-six center, and 27-year-old Stepan could be the perfect match. He will provide consistent scoring to a team that has been anything but consistent. 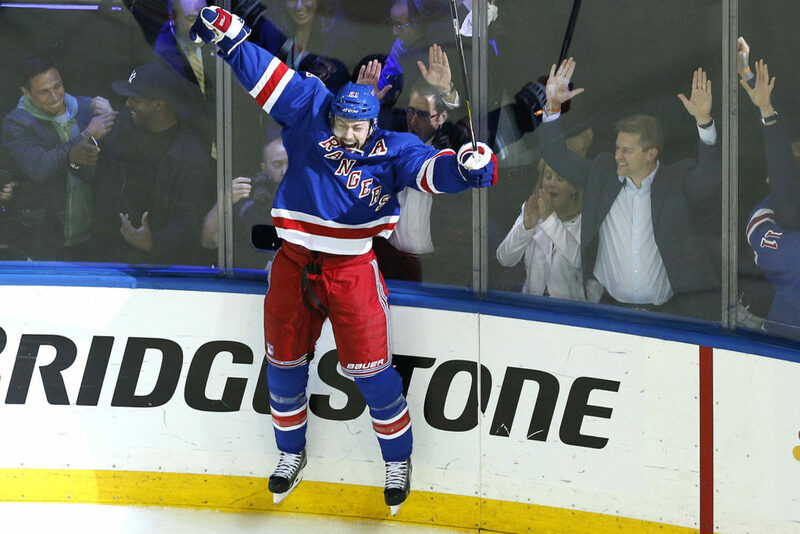 In fact, Stepan has recorded 53-plus points in each of the past four years and 44-plus points in all seven seasons of his NHL career. He has averaged 18 goals per season, but his playmaking ability will be a great asset to a team brimming with promising wingers. 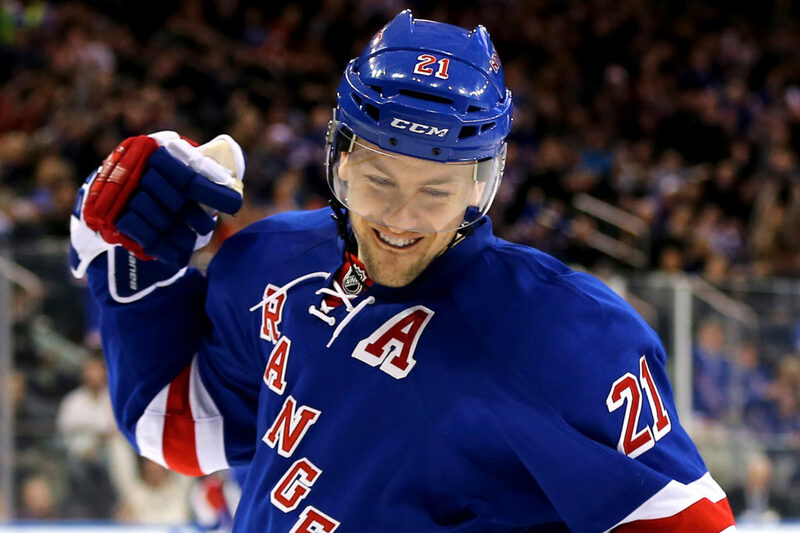 Stepan wore the “A” in New York and could very well carry that letter to Arizona. His leadership and experience, which includes 92 postseason games, will be greatly beneficial on and off the ice. Plus, his $6.5 million cap hit will go a long way towards helping this team reach the cap floor of $55.4 million. Perhaps the best part of this trade is that Chayka didn’t have to give up much. The team loses DeAngelo, who scored 14 points in 39 games and had some good stretches. However, he has a history of being temperamental and remains unproven at the NHL level, putting the risk of the deal on the Rangers. 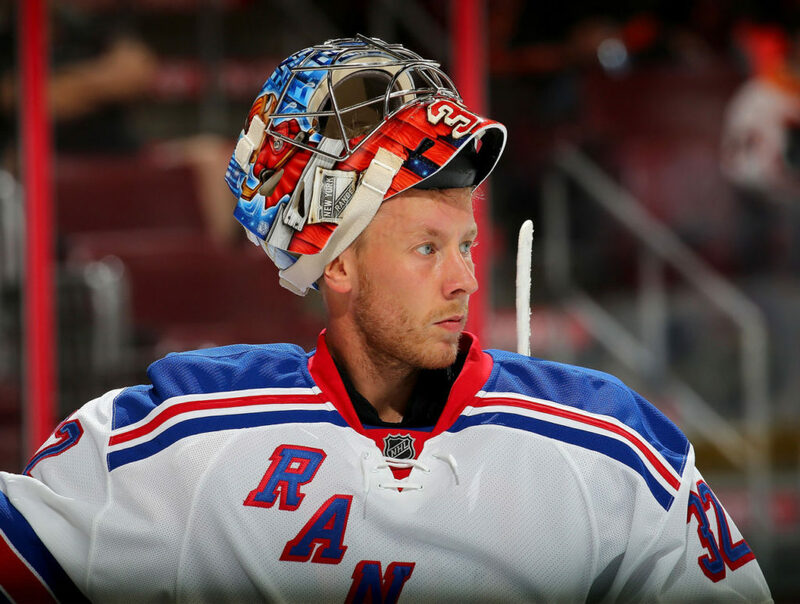 The acquisition of Raanta is explored below in the “Changes in the Crease” section. On the same day, Chayka made another significant upgrade by acquiring veteran defenseman Niklas Hjalmarsson from the Chicago Blackhawks. Chayka parted with defenseman Connor Murphy and prospect Laurent Dauphin but added a gem of a defenseman. Hjalmarsson is one of the most underrated defensemen in the National Hockey League. He has spent his entire 10-year career in Chicago, playing a key role in each of the team’s three Stanley Cup victories. 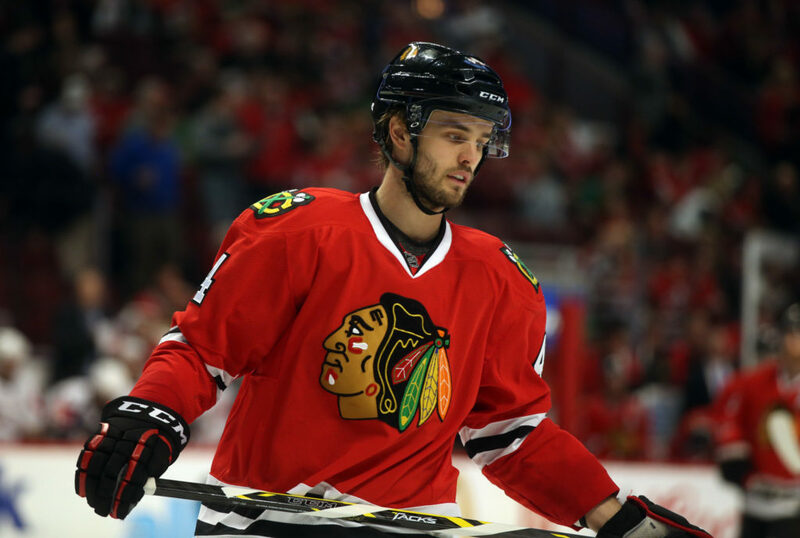 The move was shocking considering how important he has been in Chicago, but Blackhawks general manager Stan Bowman wanted cap stability and therefore opted for the younger Murphy, who is signed for an extra three seasons. Arizona gets an outstanding veteran defenseman with considerable experience and tremendous success. The change of scenery will be shocking for the 30-year-old rearguard, but he could be an enormous factor in this team’s success, especially considering how much his presence will help Ekman-Larsson. He may not play with Ekman-Larsson since he primarily plays on the right side, but Hjalmarsson will eat up a ton of minutes and will take the tough assignments, as he has done throughout his career. This deal upgrades Arizona’s back line substantially, and this move could prove to be the team’s best of the offseason. 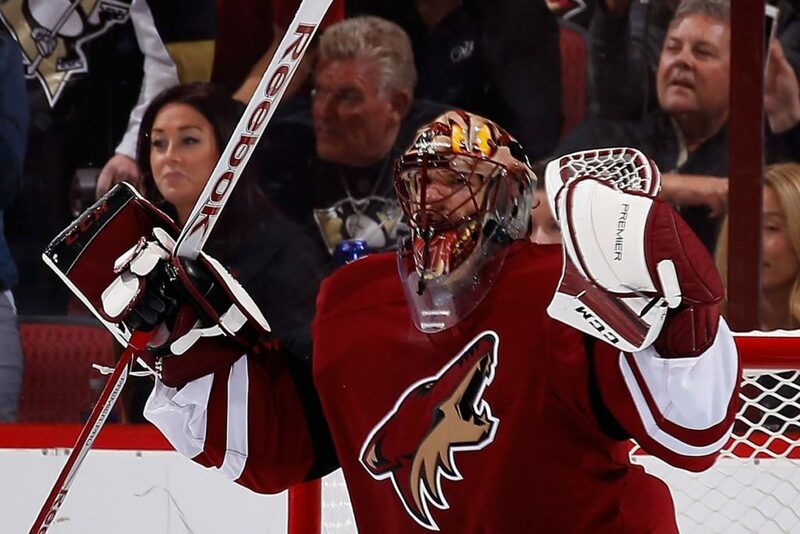 Heading into the expansion draft, the Coyotes had to choose between goaltenders Mike Smith and Louis Domingue. Though Smith currently is the better of the two goalies, Chayka decided to protect 25-year-old Domingue and send Smith to Calgary. Knowing Domingue is not ready to be a starter, Chayka was gambling that he’d be able to replace Smith this offseason. However, it appears as though Chayka was fairly confident he’d have someone for the job. That is because a deal with the Rangers reportedly was in the works prior to the expansion draft. It was rumored that Chayka insisted on Raanta’s inclusion in that deal, which must have made moving Smith more palatable. In any case, the Coyotes enter the 2017-2018 season with Raanta, who will have a crack at being a starting goalie for the first time in his career. Raanta has had a string of successful seasons as a backup goalie for the Blackhawks and Rangers, playing very well in place of Corey Crawford and Henrik Lundqvist, respectively. He posted a 2.26 goals-against average and .922 save percentage in 26 starts last year with the Rangers and has averaged a 2.32 GAA and .917 SV% in his four-year career. He is signed for one more year on a deal that carries just a $1 million cap hit, so this season will be his tryout. Raanta has extensive playoff experience and has learned from some of the best goalies in the NHL. The 28-year-old is eager to impress, though he will have his work cut out for him. He’s grateful to have his chance to prove himself, and all signs point to him taking full advantage of that opportunity. In addition to parting ways with Doan, Arizona also will move on without head coach Dave Tippett after eight years with the organization. Rick Tocchet will take over as bench boss after serving as assistant coach for the back-to-back Cup champion Pittsburgh Penguins. A lot of these moves point to a total rebirth in Arizona, part of which has been encouraged by now sole owner of the team Andrew Barroway. He believes Arizona can be a premier NHL destination and is structuring the rebuild with that in mind. The Coyotes are prepared to let the kids play this season. This should be the youngest or one of the youngest rosters in the NHL, but that’s by design. Players like Stepan, Hjalmarsson and Raanta will help steer the ship, and their contributions and presence should make life easier for the rest of the team. Ekman-Larsson, Max Domi and Tobias Rieder are three players set for bounce-back seasons, and there’s nowhere to go but up for Jamie McGinn, who tallied just 17 points last year. Highly-touted prospect Dylan Strome finally could be given his chance now that he is another year older. Jakob Chychrun will have a chance to continue to develop into the stud defenseman he’s projected to be, and underestimated Nick Cousins can prove his worth after getting dealt by Philadelphia. Plus, streaky winger Anthony Duclair signed a one-year, $1.2 million contract. He has been involved in trade rumors but could have a bounce-back year, especially playing on the top line with Stepan and possibly Max Domi. No matter what, though, there is more than plenty of young talent on the roster and in the system. No one expects Arizona to reach the postseason this year, though a legitimate uptick in points is not out of the question. One way or another, teams will have to pay more attention to the Coyotes moving forward. The Calgary Flames had an up-and-down year but ultimately landed back in the playoffs, albeit for a brief stint. There were some growing pains with new head coach Glen Gulutzan. However, he made them a stronger even-strength team, and his back was against the wall with inconsistent and sometimes atrocious goaltending throughout the year. The Flames made too many costly mistakes in the first-round series against Anaheim, a sweep, but showed a lot of character during the regular season. There were some puzzling personnel and usage decisions, but Gulutzan also got a lot out of certain players. Most notably, Mikael Backlund had a phenomenal year, excelling in all areas of the game. Backlund had legitimate linemates and was given a chance to play an important role in many situations, for which Gulutzan deserves a lot of credit. Most of the team struggled to start the year, but when things picked up, guys like Sean Monahan took off. He scored 36 points in the last 40 games of the regular season and put up four goals in four postseason games. Matthew Tkachuk had an excellent rookie campaign and exceeded all expectations. Though the Troy Brouwer contract seems to be a disaster and Johnny Gaudreau had an “off” year, including just two assists in the playoffs, the season as a whole leaves plenty of room for optimism. 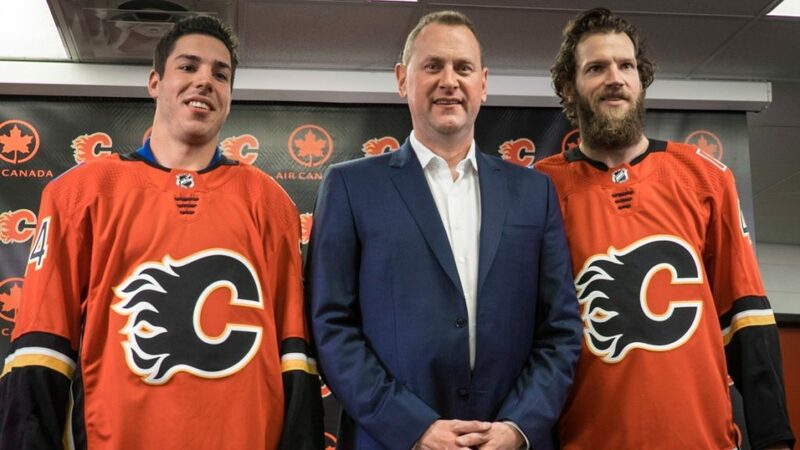 General manager Brad Treliving took that optimism and multiplied it, having one of the better offseasons of any team in the NHL. Here’s an overview of what Calgary has done. The New York Islanders were the only team to protect five defensemen in the expansion draft, but general manager Garth Snow felt he had no choice in the matter given the quality of defensive depth in New York. 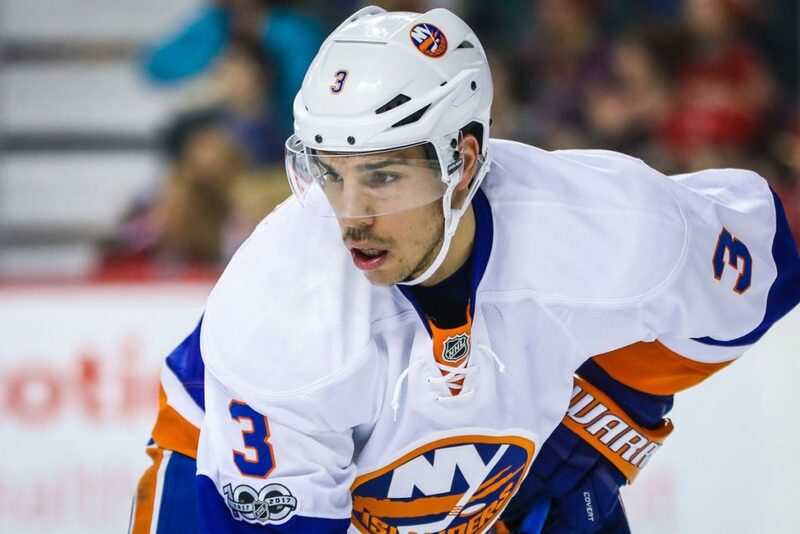 That level of depth makes players expendable, which ultimately is what happened to arguably the Islanders’ best defenseman, Travis Hamonic. Though Treliving had to give an arm and a leg to get him, acquiring Hamonic was a momentous move. Hamonic is not coming off his best season; in fact, he finished with a career-low minus-21 rating. But he struggled with injuries and played in just 49 games. He is an excellent defenseman and can be a shutdown guy or a two-way option. He adds incredible skill and ability to an already-impressive defense, and he could make a massive difference for this team. The negative aspect of the deal is the fact that Treliving had to give up quite a lot to land him. Specifically, Calgary moved the team’s 2018 first- and second-round picks as well as a 2019 conditional second-round pick. This may seem like a lot for a defenseman without much flash to his game. However, Hamonic is underrated, if anything, and is entering his prime at 27 years of age. Snow took advantage of the market since there was high demand for a player of Hamonic’s caliber. But for a team with plenty of talent in the organization, losing those picks is worth it if you are receiving high value in return, and Treliving and the Flames received immense value in Hamonic. After a season of often disastrous goaltending, it was clear a change in net was needed. Brian Elliott struggled out of the gate but then turned things around in the second half of the season. Unfortunately, his playoff performance was a big factor in the Flames’ elimination, so his one-year test run was a failure. Chad Johnson wasn’t much better and was inconsistent throughout the year. 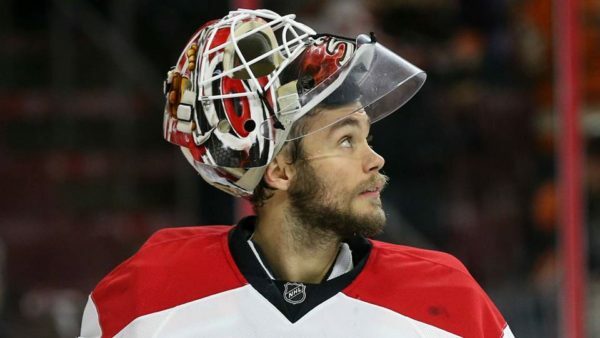 In order to address the matter, the Flames got rid of both Elliott and Johnson and brought in two new goalies via trade: Mike Smith and Eddie Lack. Smith, 35, was acquired from Arizona after playing six seasons in the desert. He finished last season with a 2.92 goals-against average and .914 save percentage; however, the Coyotes finished 28th in the standings, and Smith was the team’s MVP for much of the year. Calgary has one of the best groups of defensemen in the league. That is something Smith is not used to but will welcome with open arms. Smith battled in his time in Arizona and was often unconscionably good. Despite his age and past inconsistency, Smith makes sense in the short term for a team looking to contend while also developing young talent. Like Smith, Lack will benefit tremendously from playing behind such a strong defense in Calgary. He has averaged a 2.56 goals-against average and .911 save percentage in four NHL seasons but has the potential to develop into a starting goalie. Perhaps giving him a few years with Smith is just what he needs to get there. Whether or not these moves are solutions remains to be seen, but Smith should find success given the upgrade of talent in front of him. 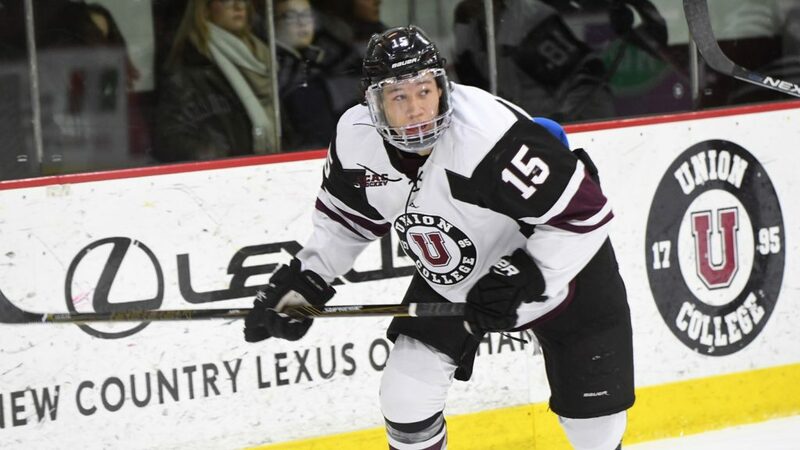 Spencer Foo was the hottest free-agent NCAA player on the market after an impressive junior-year season at Union College. He scored 26 goals and 62 points in just 38 games and was a finalist for the Hobey Baker Award as best collegiate player. Impressively, Foo set a program record with a 21-game point streak. It was believed that the 23-year-old Edmonton native would sign with the Red Wings just days before his official decision was announced. However, luckily for the Flames, Foo chose Calgary. Landing him was quite a coup. Aside from being the most sought-after collegiate player of the offseason, Foo plays right wing and therefore can provide an offensive boost in an area of need. It’s likely he’ll crack the opening-night roster, as that must have been a guarantee ahead of the signing. 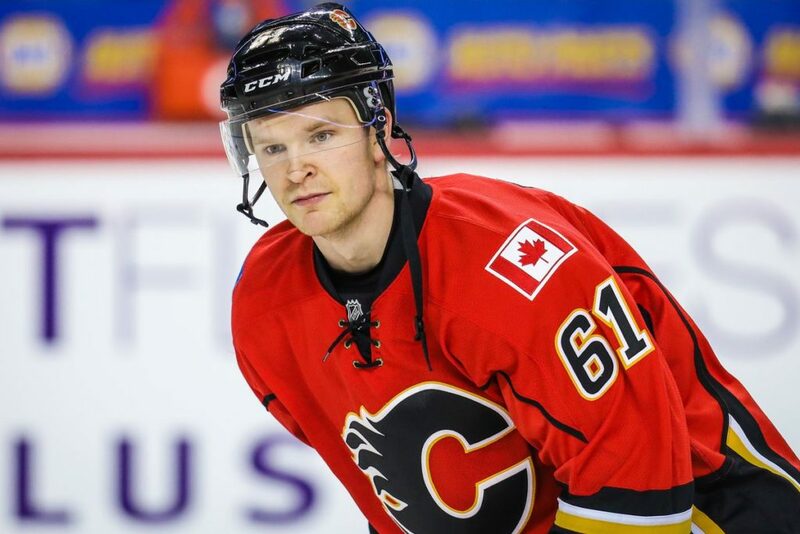 There’s a chance he could slot in next to Gaudreau and Monahan; if not, perhaps he could help Sam Bennett get his game going, which would be huge for the Flames. Either way, this signing is a steal for the Flames, especially considering the Alberta rival Edmonton Oilers were on Foo’s short list at the end. Somehow, Treliving pulled this off, and it could prove to be quite significant throughout the season. In addition to the above deals, Treliving made several additional moves to improve the Flames this offseason. 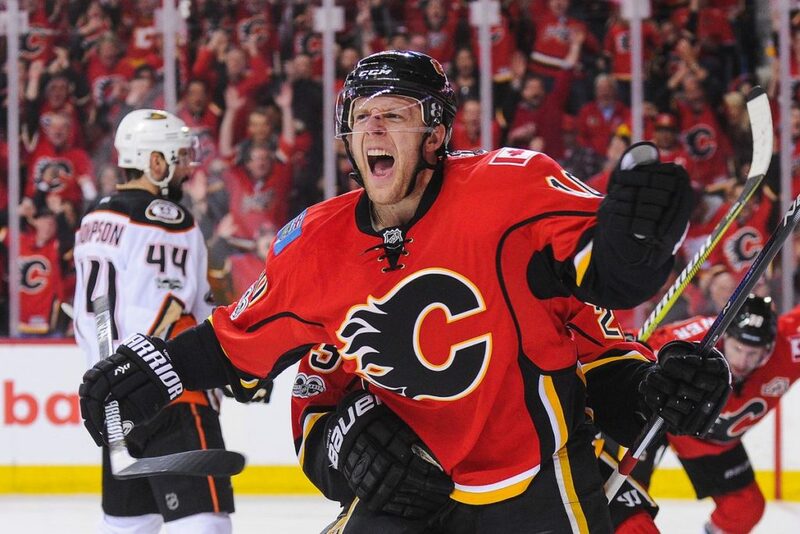 The first was to re-sign forward Kris Versteeg, who signed with the team one day before the start of last season after attending the Oilers’ training camp. That proved to be a very important move, so one can only assume it was a priority to get him re-signed. Treliving took care of the matter by signing Versteeg to a one-year extension with a $1.75 million cap hit. He also signed Micheal Ferland to a 2-year extension at the same cap hit. 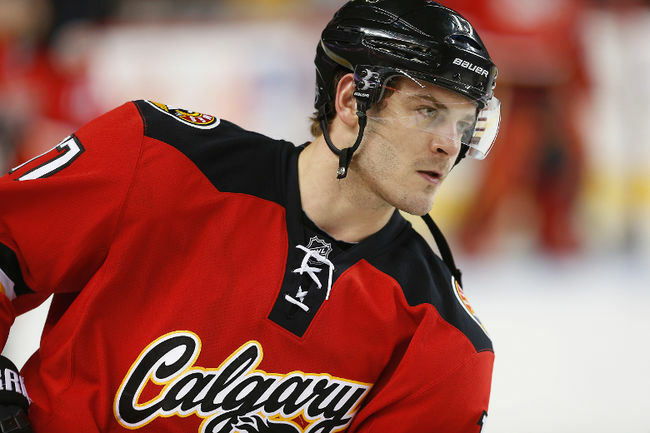 Treliving also decided to part ways with forward Lance Bouma, whom he bought out. Bouma was signed to a terrible three-year, $6.6 million contract in 2015 but had scored a combined 14 points in 105 games since signing. The buyout gives the Flames $1.53 million in cap savings this year, but more importantly it clears a spot for one of the young players to step in and assume. Plus, it gets Bouma out of the lineup, which is a good thing. 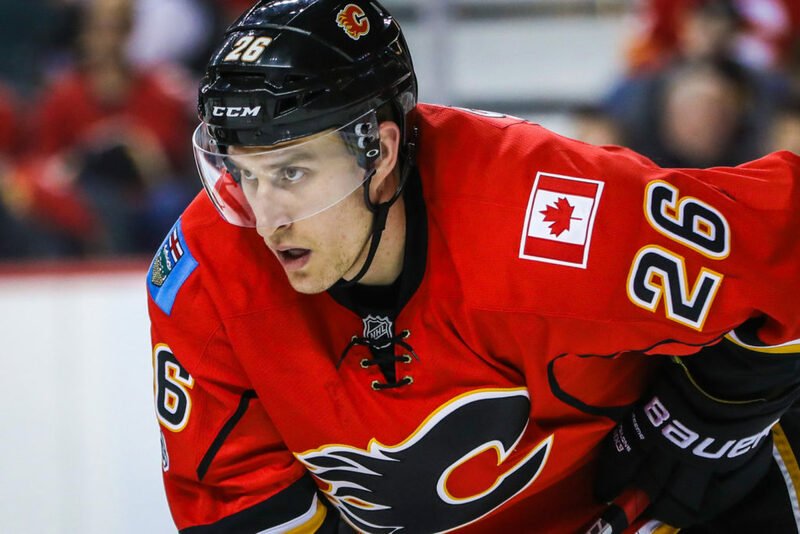 Lastly, Treliving re-signed Michael Stone to a three-year deal with a cap hit of $3.5 million. While Stone has had some strong stretches in his career, he was not impressive as a Flame last season. Once the Flames acquired Hamonic, most expected Treliving to let Stone walk. The fact that he didn’t shows that he believes the Flames are all in and ready to truly contend in the playoffs. Though Brett Kulak could be a strong fifth/sixth defenseman for this team, Treliving is ensuring that the team has plenty of depth on defense. The only issue is that if Kulak gets called up in case of an injury, he’d have to clear waivers before being sent down; that’s a risk Calgary cannot afford to take. All in all, the Flames have had an impressive offseason. If nothing else, Calgary has been aggressive, which is an encouraging sign. Getting rid of Brouwer’s contract would have gone a long way, but Treliving did a nice job solidifying the blue line, addressing the goaltending and bringing in an exciting option on offense in Foo. Re-signing Ferland and Versteeg to team-friendly contracts shores up a competitive top-nine, with Gaudreau, Monahan, Ferland, Michael Frolik, Backlund, Tkachuk, Versteeg, Foo, etc. all vying for spots. Bennett remains a restricted free agent but should be re-signed to a modest contract before the start of the season. There are some question marks surrounding Smith, but considering the team has had six main goaltenders in the last two seasons (Elliott, Johnson, Karri Ramo, Jonas Hiller, Joni Ortio and Niklas Backstrom), Smith and Lack could provide the stabilization this team needs. Smith has two years remaining on his contract at a $4.25 million cap hit after Arizona retained 25 percent of it in the trade. Two years of a veteran goalie who battles, can be lights-out and is fighting for his last chance at a Cup could help this team become a legitimate playoff threat. Plus, he will have plenty of support behind one of the best groups of defensemen in the league in Mark Giordano, Dougie Hamilton, T.J. Brodie and now Hamonic, with Stone and Matt Bartkowski or Kulak as the third pairing. Treliving believes the combination of the moves he has made and the talent already established throughout the lineup will take this team to new heights this season. Though the Pacific Division will be one of the most competitive in the league, Calgary has positioned itself for a very successful year. The Edmonton Oilers had a season to remember. The team finally put everything together and exceeded all expectations, making the playoffs for the first time in a decade and putting together a dream-come-true year for playoffs-starved fans. The team ended up losing the division by just one point at the very end of the season but advanced to the second round of the playoffs. A few questionable calls stood in the way of the Conference Finals, which shows just how close this team really is to contending for the Cup. Led by captain Connor McDavid, the Oilers marched through the regular season with poise and confidence, and everything seemed to click. Cam Talbot had a masterful 42-win season but was robbed of a Vezina Trophy nomination due to NHL politics. McDavid won his first Hart Memorial, Art Ross and Ted Lindsay trophies with a 100-point campaign, and Leon Draisaitl was right behind him with a breakout 77-point season of his own. 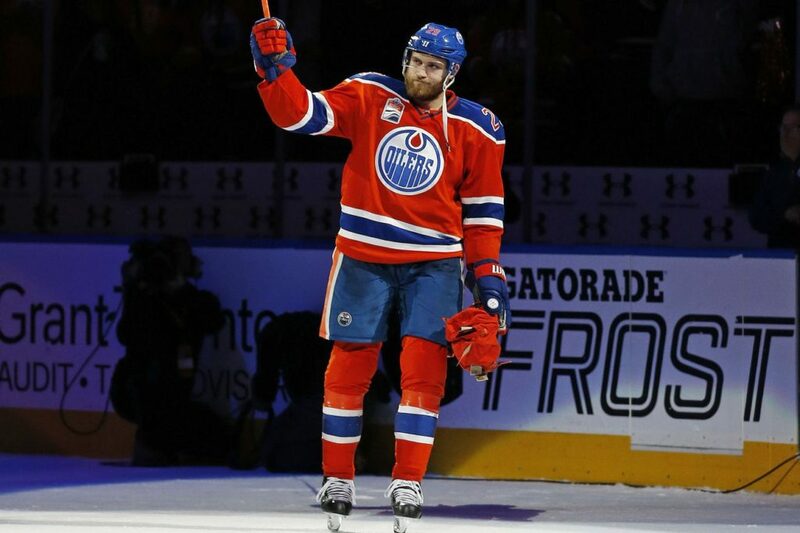 Seven Oilers forwards scored 15 or more goals, including Patrick Maroon’s 27 tallies, and the team’s power play was ranked fifth overall in the league. With a top-10 offense, an upgraded blue line and excellent goaltending, the Oilers were in great shape at the start of last season. Several changes have been made to the roster but the team finds itself in a good position once again. Here’s an overview of what general manager Peter Chiarelli has done this summer. For the second straight summer, the Oilers traded a star player to the Metropolitan Division, sending Jordan Eberle to the Islanders in exchange for Ryan Strome. 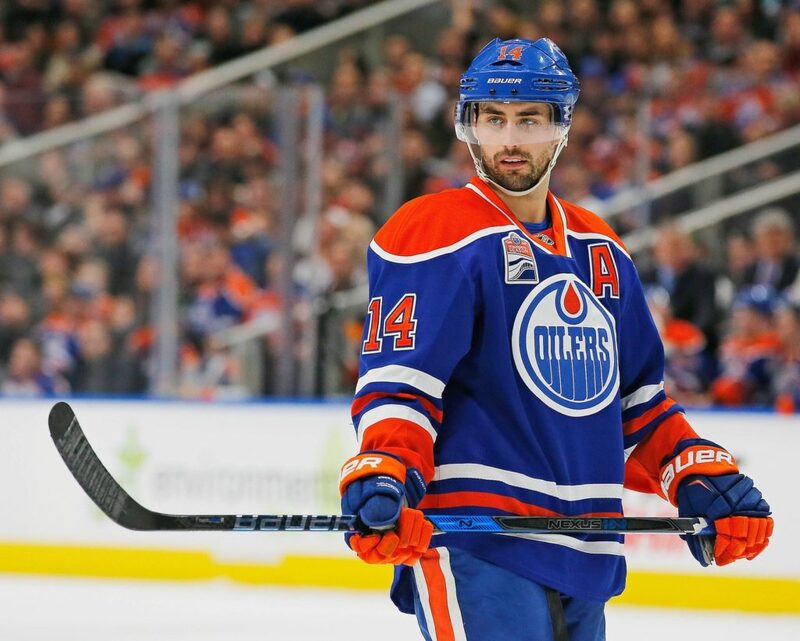 The Oilers say goodbye to Eberle after seven seasons in Edmonton in which he amassed 165 goals and 382 points in 507 regular-season games. A big impetus for the trade was Eberle’s $6 million cap hit; Strome carries a $2.5 million cap hit this season and will become a restricted free agent at the end of the year. Eberle did not establish strong chemistry with McDavid or Draisaitl and had a miserable playoff performance, recording zero goals and two assists in 13 games. It’s an unfortunate situation for Eberle, who scored 20-plus goals in each of the past six seasons (assuming he was on pace for 27 goals in the lockout-shortened 2012-2013 season). Despite his 20 goals and 51 points this past year, however, he has not been the Jordan Eberle from earlier in his career. In return the Oilers get Strome, who has a great hockey pedigree but has not proven himself at the NHL level. The 24-year-old former fifth-overall pick is coming off a difficult campaign in which he was benched mid-game, scratched and overall inconsistent. He put up 13 goals and 30 points, including eight in the final seven games of the year. He responded well after head coach Jack Capuano was replaced by Doug Weight, but it was too little too late for the Islanders. 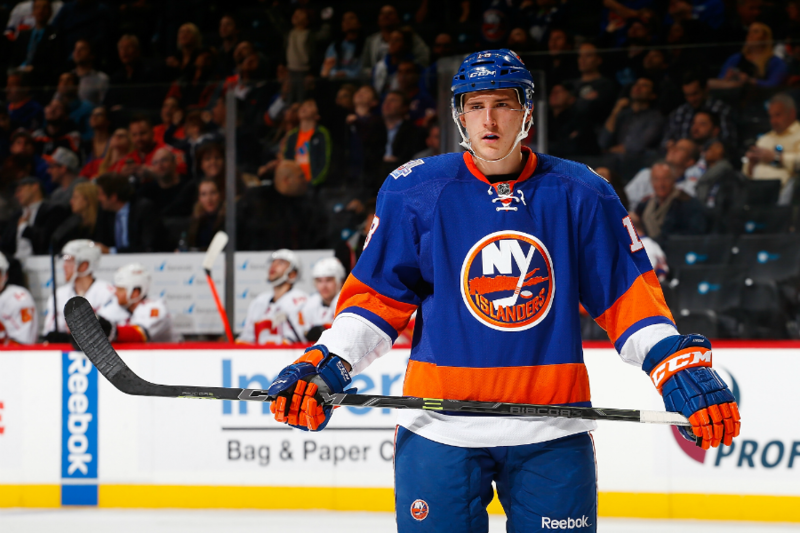 Strome is an inconsistent and streaky player but has shown flashes of incredible vision, passing and skill. Going from right wing on the top line one night to center on the third line the next, Strome got lost in the picture in New York. However, the move to Edmonton could revitalize his career and get him back to the 50-point player he’s capable of being. Eberle is a better player than Strome. By that standard, the Islanders won this trade. However, something was not right with Eberle in Edmonton. He couldn’t be a lethal scoring threat playing with McDavid or Draisaitl and was unable to capitalize on scoring chances or use his skill the way he had done so easily throughout his career. However, Strome may not play to his full potential either. He hit the 50-point mark in the 2014-2015 season and recorded 19 points in 37 games in 2013-2014 but has otherwise produced 30 and 28 points in the past two years, respectively. Someone like Brock Nelson, also on a one-year, $2.5 million deal, would have been a significantly better asset for Chiarelli to acquire, though it’s unlikely the Islanders would have been willing to part with him. While it’s a big loss for the Oilers given what Eberle has done for this franchise, his playoff performance more than anything sealed the deal. Everyone knew it was coming, and Chiarelli got a strong player on a cheaper contract that expires at the end of this year in return. But when all is said and done, the Islanders won this trade. 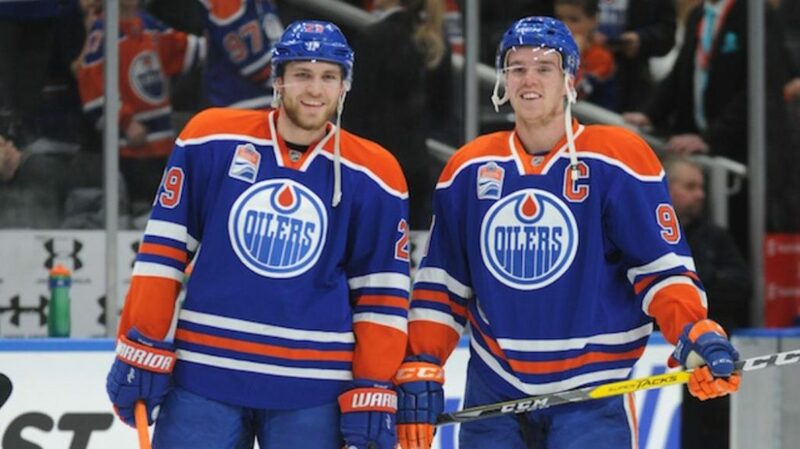 The two best players on the Oilers are Connor McDavid and Leon Draisaitl. McDavid had one year remaining on his entry-level contract but both the Oilers and McDavid’s camp wanted to negotiate a new deal this summer to avoid potential distraction during the year. 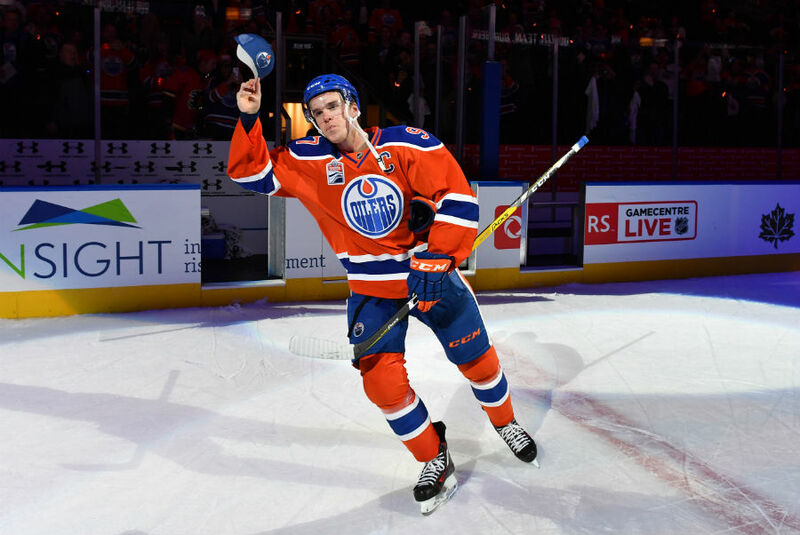 Plus, there was no question about whether McDavid wanted to remain an Oiler and whether the Oilers wanted to retain the player who likely will become the best player in the NHL. Draisaitl, on the other hand, was a restricted free agent in need of a new contract after signing an entry-level deal in 2014. It was McDavid that signed first, agreeing to an eight-year, $100 million extension. The contract carries a $12.5 million cap hit, giving him the highest cap hit in the NHL. McDavid could have gotten even more on his deal but decided to leave some money on the table in order to help pay for Draisaitl’s contract and to leave some money for the team’s cap needs in the future. This was an admirable move by the young captain, though it will be difficult for Edmonton to manage the cap no matter what. It makes complete sense to give McDavid a massive contract. After all, he led the league in points this season with 100 and is only at the start of his career. He is considered by most to be the best player this league has seen since Sidney Crosby, so locking him up long-term is a natural priority for the Oilers organization. The contract is very rich, regardless of whether McDavid left money on the table. It’s a big cap hit, which makes building a strong team around him more difficult. That being said, Chiarelli had to pay him, and it’s better to get it done sooner rather than later. McDavid is locked up for the next nine years, which is the most productive thing the Oilers could have done. Draisaitl signed an eight-year, $68 million extension, which carries an $8.5 million cap hit. This is a reasonable contract given Draisaitl’s ability and value, though it’s possible Chiarelli could have gotten away with a better deal had he not re-signed McDavid first. In any case, Chiarelli did his part in re-signing the team’s two best players. 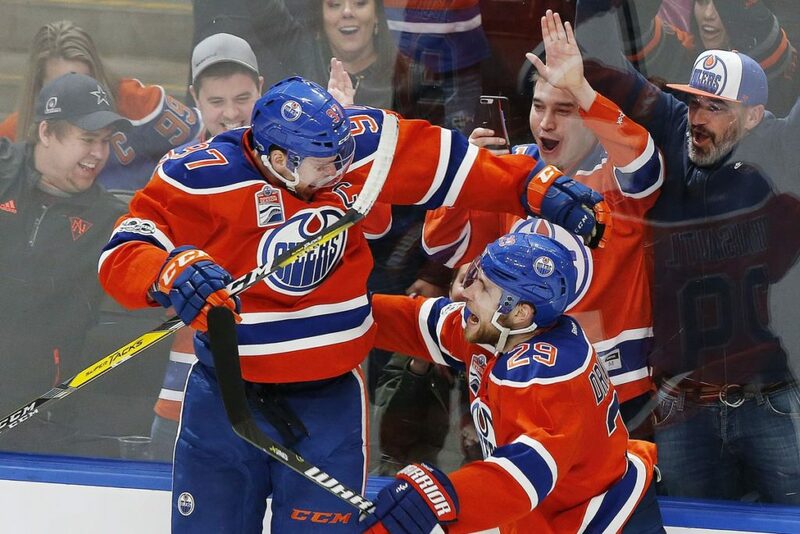 Draisaitl is coming off a 77-point season and got even better as the playoffs went on, eventually finishing the postseason with six goals and 16 points in 13 games. He was extraordinary in the second-round series against Anaheim and will be a superstar in this league for many years to come. Re-signing him was a must for the Oilers. The two contracts combine for $21 million against the cap, which will make Chiarelli’s job difficult moving forward. However, these two players are the franchise. Like with McDavid, the Oilers had no choice but to pay Draisaitl and get him locked up long-term. 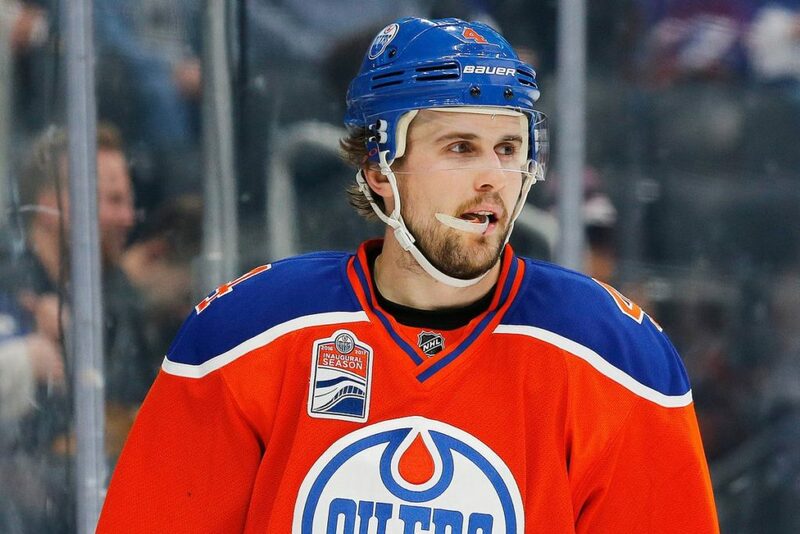 The one move many fans have an issue with is the re-signing of defenseman Kris Russell, who signed a four-year, $16 million extension. Many have criticized the $4 million cap hit, especially considering McDavid and Draisaitl would command such high cap hits. Considering Russell’s value and his play last season, the $4 million is a little high but not unreasonable. When taken out of context, it’s fair market value for a top-four defenseman. However, within the context of the Oilers’ cap situation, it’s a bit concerning. Some of the players that will need to be re-signed next summer are Strome, Maroon, Mark Letestu, Darnell Nurse and Matt Benning. It will be at that point that Russell’s contract becomes a problem. Nurse is a top-four defenseman and will want a significant raise, and Benning could be on his way to becoming a future top-four guy, though it’s unlikely he’ll get paid like one next year. Moving Andrej Sekera’s $5.5 million cap hit also is unlikely, but Ryan Nugent-Hopkins and his $6 million cap charge could be on the move next summer. At the end of the day, this team would be facing cap trouble with or without Russell. He played an important role last year and clearly is one of coach Todd McLellan’s most trusted defenders, getting the most ice time per game at even strength of any defenseman on the team. Perhaps McLellan’s faith in Russell forced Chiarelli to accept a deal on the higher end of the spectrum. In any case, Russell’s deal may be a fair one given his value, but it’s not necessarily the right one for this Oilers team. But for now, at least Edmonton is retaining a strong asset. Chiarelli made a few other moves this offseason, including buying out the remaining two years of Benoit Pouliot’s contract, which carried a $4 million cap hit. This was a move that had to be made. Pouliot was decent though still overpaid in his first few seasons with the Oilers, but last year was another story. He scored just eight goals and 14 points in 67 games, by far the worst production rate of his career (not including the three games he played in 2006-2007). His absence clears up $2.66 million of cap room as well as a spot in the lineup for one of the younger, more dynamic forwards. If there was any doubt, the zero points Pouliot posted in 13 playoff games was the icing on the cake. 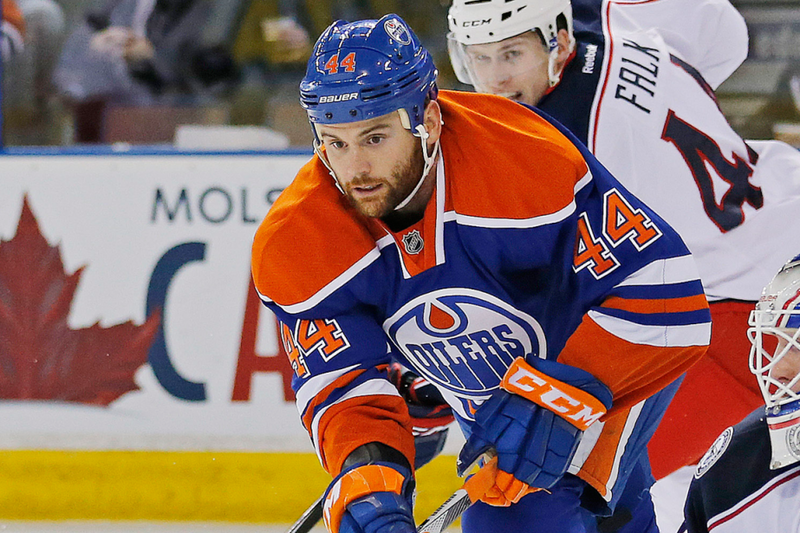 Chiarelli re-signed bottom-six forward Zack Kassian to a 3-year extension at a $1.95 million cap hit. Though the nearly $2 million cap hit is a tad high, Kassian played an important role for the team last year, bringing grit and heart to the lineup. He also provided a scoring touch at key times, including goals in games 2 and 3 in the first-round playoff series against the Sharks. He was and can continue to be used on the third line, making the contract more agreeable. 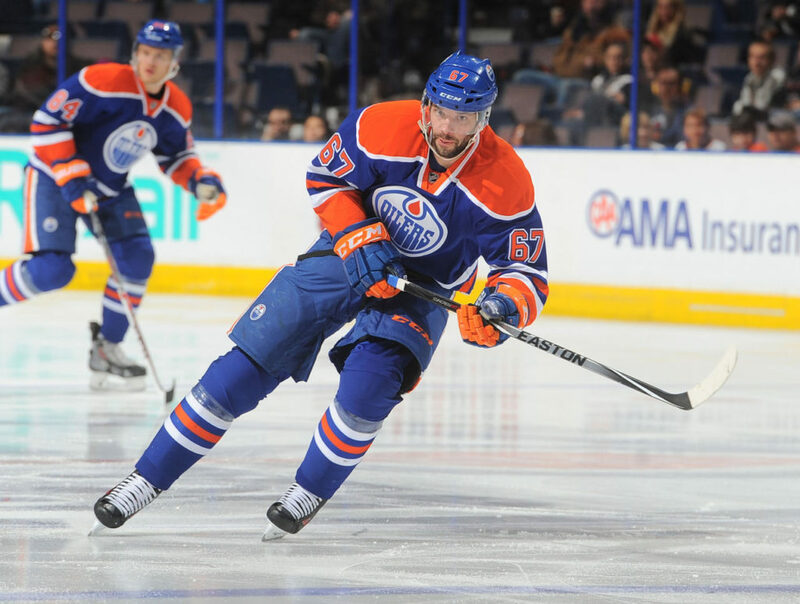 Kassian has bounced around the league but seems to have finally found his home in Edmonton. 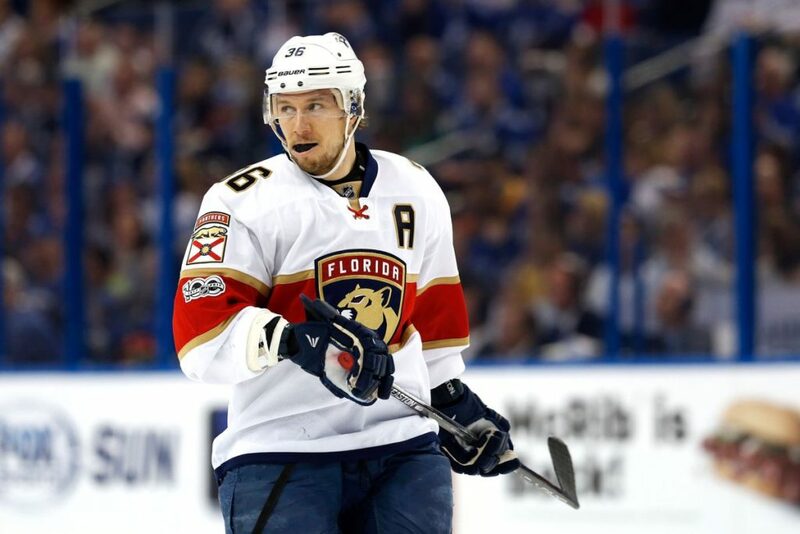 Additionally, Chiarelli signed winger Jussi Jokinen to a one-year, $1.1 million contract a week after the 34-year-old was bought out by Florida. He is coming off a tough year, hence the buyout, but still possesses a lot of skill and speed. Especially in the absence of Pouliot, Jokinen will be a solid top-nine veteran who is just two years removed from putting up 18 goals and 60 points in 82 games. He has maintained an average shooting percentage of 12.2 percent throughout his career but finished last season at 9.3 percent, which could indicate he’s due for a bump in production. In any case, the Jokinen signing makes a lot of sense; he is used to playing with young players, is still very fast despite his age and can be a very versatile player in this lineup. 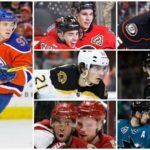 The Oilers are coming off the team’s best season in more than a decade and will be one of the top teams to watch in the 2017-2018 season. McDavid and Draisaitl are signed long-term, and all the important players from last season’s roster will return this year, including Maroon, Milan Lucic, Kassian, Oscar Klefbom, Russell, Mark Letestu, Nugent-Hopkins, Adam Larsson, Nurse, Talbot, etc. The one area of the roster that needed to be addressed, however, was not. That could prove to be problematic for a team that will no longer be considered or treated as an underdog. What Chiarelli failed to do this offseason was find Talbot a proper backup. Talbot was forced to start 73 games during last year’s regular season because backup Jonas Gustavsson was horrendous and third-string goalie Laurent Brossoit was not ready or able to fulfill the backup duty. Seventy-three starts is simply way too many for a starting goalie in today’s NHL. Unfortunately, Brossoit is the only other goalie currently on the roster but does not appear to be the answer at this time. The rest of the team is in great shape, but you cannot win hockey games without goaltending. That number of starts and will catch up to a goalie eventually, whether it’s in the later rounds of a playoff run or after a few seasons of being over-played. A team expected to make a legitimate run at the Cup cannot enter a season without proper goaltending. It will be interesting to see what Chiarelli has in mind after training camp and into the season. The Kings had it rough in 2016-2017, and it started in game one when star netminder Jonathan Quick went down with an injury and quickly was ruled out for the majority of the season. He returned to the team in the final few weeks of the year, but at that point it was essentially too late. That’s not to say the Kings didn’t get good goaltending during the year. In fact, Peter Budaj made a Herculean effort to keep the Kings in playoff contention, finishing with 27 wins, a 2.12 goals-against average and a .917 save percentage in 51 starts. Remarkably, that was the lowest GAA of his career, and the .917 save percentage tied his career-high. But not everyone stepped up. After signing an eight-year, $80 million extension last offseason, Anze Kopitar was terrible for most of the year. In fact, he recorded just 12 goals and 52 points, both career-lows (assuming he was on pace for 17 goals and 72 points in the lockout-shortened 2012-2013 season). Aside from Budaj, without the outstanding play of Jeff Carter (32-34–66), this team could have fallen even further in the standings. As always, Drew Doughty was solid, and Alec Martinez had another strong season. Jake Muzzin took a step back, finishing with a team-low minus-21 rating and scoring just 28 points after two consecutive 40-point years. 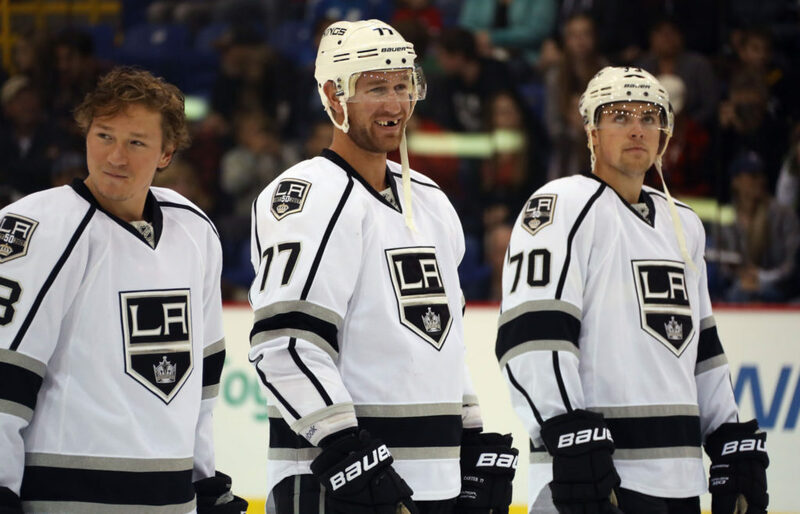 The Kings have become somewhat of a stale team with aging veterans and not much depth. Dustin Brown continues to decline, Marian Gaborik appears to be done and the team’s bottom-six shows no signs of advancement. However, the Kings didn’t do a whole lot to address these issues this offseason. Here’s what Los Angeles did do. 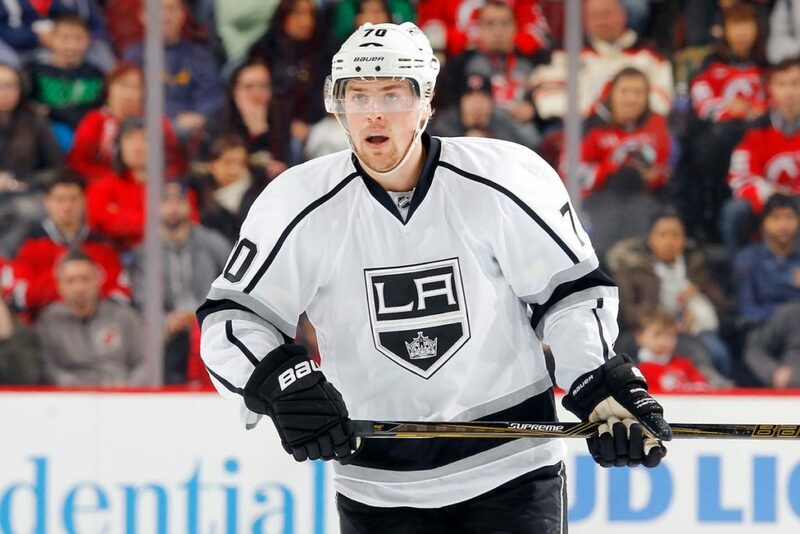 Los Angeles re-signed two of the most talented members of the Kings in Tanner Pearson and Tyler Toffoli. Both moves were extremely important, and both players agreed to reasonable, team-friendly contracts. Pearson signed a four-year, $15 million extension, a deal that carries a $3.75 million cap hit. The 25-year-old winger has improved year after year, scoring career highs in goals (24), points (44), power-play points (8) and shots (187) this past season. Pearson has been a member of the “That 70’s Line” with Carter and Toffoli over the past few seasons, a line that has been one of the best in the NHL. He is a key member of this team’s offensive core. The $3.75 million cap hit is very reasonable given his production and development. His point-per-game production has increased each season, starting at seven points in 25 games in 2013-2014 (0.28 points per game) to 16 points in 42 games the following year (.38) to 36 points in 79 games in 2015-2016 (.46) and 44 points in 80 games this past year (0.55). The four-year term is another plus for the Kings, who now have the team’s four best forwards signed for at least the next three seasons. 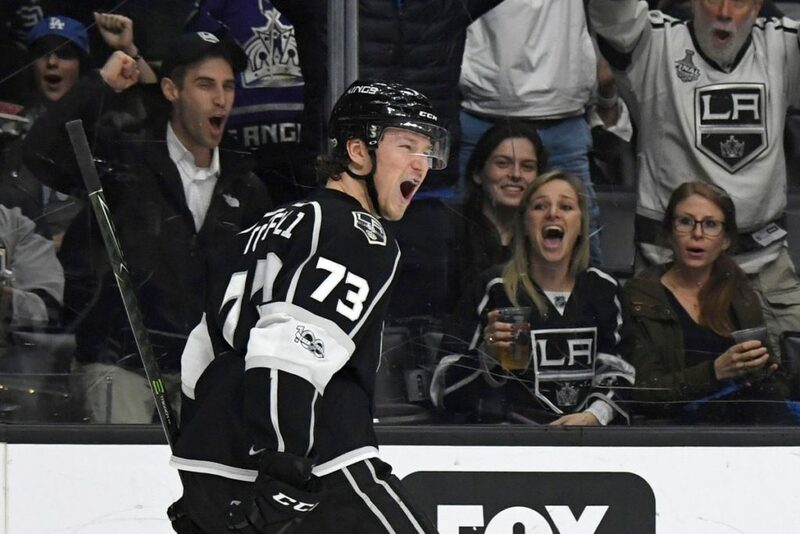 Toffoli, also a member of the “That 70’s Line” with Carter and Pearson, agreed to a three-year, $13.8 million extension. His deal carries a $4.6 million cap hit. Toffoli has produced more than Pearson, scoring 34, 58, 49 and 29 points in the past four seasons, respectively. Even though this past year was a down year with 16 goals and 34 points, the drop in production can be attributed to the fact that he missed 19 games. Toffoli’s shooting percentage this past year (9.7 percent) was tied for the lowest in his career, which also could explain the decrease in scoring. He’s a very talented forward and a key piece of this team, so having him signed for the next three years with a cap hit under $5 million is an impressive accomplishment. It’s similar to comparable contracts that have been handed out, including Alex Galchenyuk’s three-year deal with a $4.9 million cap hit as well as Chris Kreider’s four-year deal with a $4.625 million cap hit. Compared to Tomas Tatar’s four-year deal that carries a $5.3 million cap hit, this is an absolute steal, especially considering Toffoli is much better, more effective and more integral to his team. The Kings wasted little time making major organizational changes after the team missed the playoffs for the second time in the past three seasons. 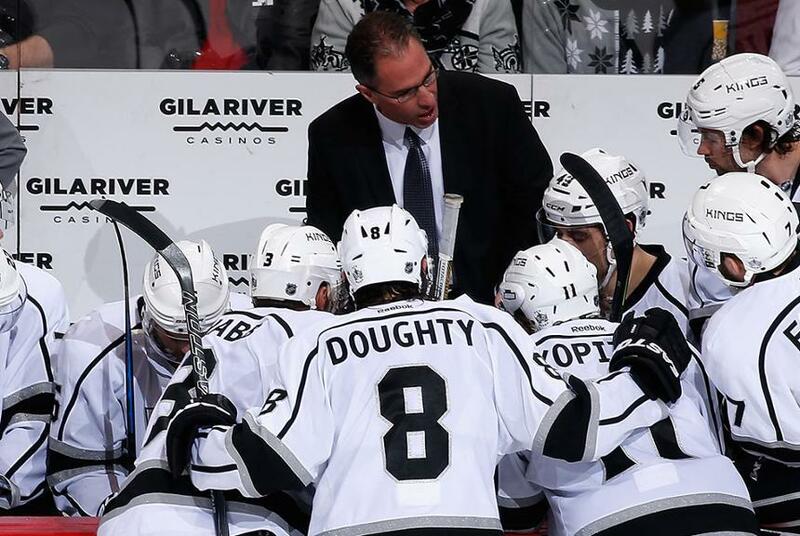 Head coach Darryl Sutter was relieved of his duties, as was general manager Dean Lombardi. The two were heavily involved in the franchise’s first Stanley Cup in 2012 as well as its second in two years in 2014. However, the team has been on a decline, and upper management decided it was time to clean house. The only issue with replacing Sutter is that instead of bringing in a new head coach, the Kings promoted assistant coach John Stevens to the job. Stevens will bring a different style to the bench than the eccentric-yet-respected Sutter. However, Stevens was not consistent in his last job as head coach. As coach of the Philadelphia Flyers from 2006-2009, Stevens saw the team crash and burn and then impressively rise from the ashes the following year. Of course, a team’s success or failure is never fully on the coach even though the coach is usually the first to be blamed. When he took over in 2006, the Flyers set a franchise record for consecutive losses with 10. The team finished the season with the franchise’s worst record in its history and also set a record for the biggest drop in overall points, going from 101 in 2005-2006 to 56 in Stevens’ first year. But the following season saw the Flyers make a comeback, earn 95 points and make it the Conference Finals. He was fired in 2009 after a rough start saw the Flyers in 10th place in the conference despite being considered a Cup favorite. One tendency from his time in Philadelphia was to sit on leads, which often led to blown games and losses. That will be less of an issue with Quick in net, but it was never a confident coaching style. The game has changed considerably since then, and Stevens is a different person and different coach. However, the Kings should not necessarily expect long-term success or drastic changes from Stevens, especially since he has been behind the Los Angeles bench since 2010. The Kings signed forward Mike Cammalleri to a one-year, $1 million contract. This was a very low-risk, high-reward move, and it’s one that could help solidify the team’s top-six group of forwards. That being said, Cammalleri is coming off by far the worst season of his career, recording just 10 goals and 31 points in 61 games. He struggled with injuries, sat in the press box and hasn’t scored since Jan. 3. Considering he’s been a scorer and point-producer throughout his NHL career, it’s unclear whether it was just a tough year or whether it’s a sign of an impending decline. 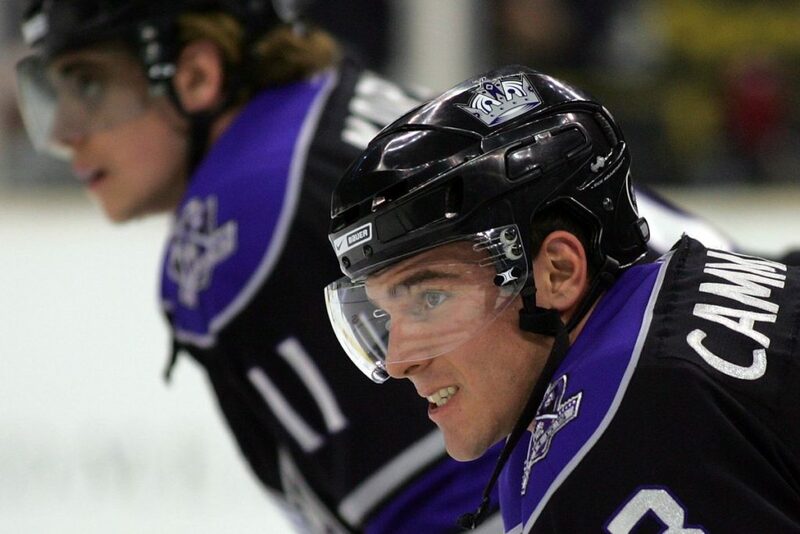 Cammalleri started his career in Los Angeles, getting selected by the Kings in the second round of the 2001 NHL Entry Draft. He has the potential to put up solid numbers but, like Gaborik, has a history of injuries. He has not played in more than 68 games since the 2008-2009 season and has played in 44 games or less in four of the last nine seasons. The 35-year-old forward saw his shooting percentage fall to just seven percent, a career low. Cammalleri had strong five-on-five stats last year, scoring 1.42 points per 60 minutes. However, it’s unclear what his maximum value can be given his age and injury history. No matter what, it’s a small gamble. In the context of the Kings’ previous offseason in which the team signed multiple players to similar deals, it’s surprising that this is the main deal newly-appointed general manager Rob Blake has commissioned. Bringing in a former teammate to potentially give Kopitar some more scoring support is not a bad move, but it shouldn’t be the most significant one for a team looking to get back in the playoffs. 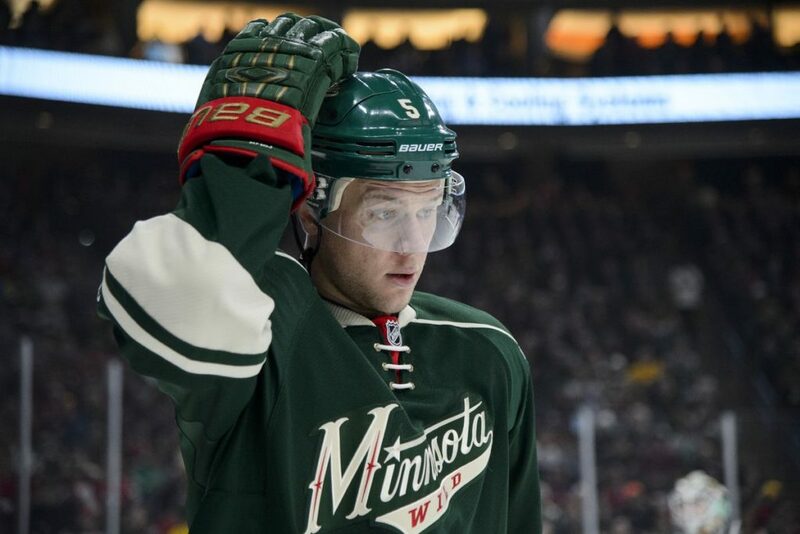 Additionally, the team signed defenseman Christian Folin to a one-year, $850,000 contract. Folin is just 26 years old and is a solid defenseman, especially considering he’ll be a third-pairing guy. He is coming off knee and shoulder injuries, however, which makes him less of a certainty. Folin can provide defensive depth and has more experience than guys like Paul LaDue and Kevin Gravel. Though he’s not a replacement for Brayden McNabb, who was taken in the expansion draft, it’s still a stable signing, especially considering its low-risk nature. The phrase that best sums up the Los Angeles Kings’ offseason is “failure to act.” That’s not something you want to hear when a former perennial Cup contender fails to reach the playoffs in two out of the last three seasons. 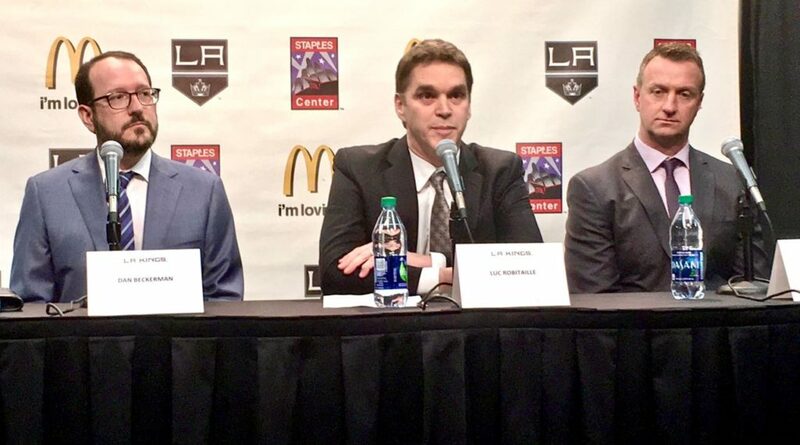 That being said, organizational changes were made, with both Lombardi and Sutter ousted in favor of Blake and the promotion of Stevens, as well as Luc Robitaille being named president. Whether that has or will spark enough of an adjustment remains to be seen. Adding Cammalleri was a strong move with low risk, but it’s not enough. This team needs more firepower. At this point, the true offensive core is Kopitar, Carter, Toffoli and Pearson. While there’s a lot of talent in that group of players, it’s just not enough. When all is said and done, Blake needs to come up with some short-term fixes and long-term plans to get this team competitive once again, especially considering there is a solid core to build around. Adding Doughty, Martinez, Muzzin and Quick to the list makes it a strong all-around core, but there’s very little support throughout the rest of the lineup. The moves made this offseason are small potatoes compared to the moves other teams in the division and conference have made. Based on the offseason activity, Los Angeles has not put itself in position to put up a fight and challenge for a playoff spot. Blake may have more in store, but for now the odds are against the Kings. One year removed from the best season in franchise history, the Sharks entered 2016-2017 eager to make another strong playoff push and reach the ultimate goal of winning the Stanley Cup. Unfortunately, the Sharks fell far short, and the team seemed to regress. Goaltender Martin Jones had another solid season. He finished 35-23-6 with a 2.40 goals-against average and .912 save percentage, down slightly from the 2.27 and .918 from 2015-2016. Brent Burns was absolutely brilliant in the first half of the season and carried this team for much of the year. He scored 27 goals in the first 59 games of the season but managed just two as the Sharks went 11-11-1 to finish the year. The Norris Trophy winner became the first defenseman since Brian Leetch to score 75 points in back-to-back years. But as Burns cooled off, so did the Sharks. The team had managed enough momentum to earn a playoff berth but was defeated by a young Oilers team in the first round. 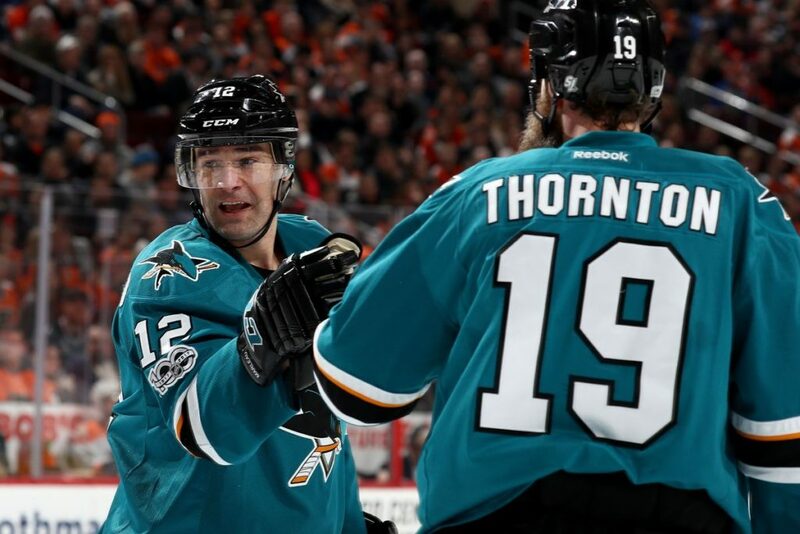 Patrick Marleau had a bounce-back season with 27 goals while Joe Thornton’s productivity dwindled to just seven goals, his lowest total as a Shark (assuming he was on pace for 11 in the lockout-shortened 2012-2013 season). After putting up 82 points in the Sharks’ magical 2015-2016 run, Thornton came back down to earth and finished the year with 50. The team’s biggest move from last offseason failed miserably, as Mikkel Boedker had a terrible year with 10 goals and 26 points in 81 games. San Jose expects much more from him. The team acquired forward Jannik Hansen from Vancouver at the deadline, but he put up just one assist in six postseason games. Here’s a look at what general manager Doug Wilson has been up to. 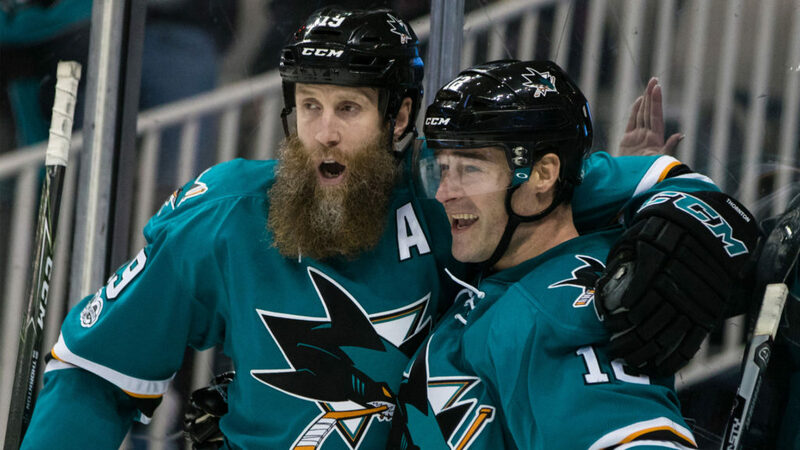 Long-time Sharks forwards Patrick Marleau and Joe Thornton previously have refused to waive no-trade clauses because of a strong desire to stay in San Jose. Both contracts were up this summer, which meant all eyes were on the Sharks to see what the future would hold for the beloved veterans. The rumors out of San Jose were that the team was willing and interested in re-signing both players to one-year deals; however, both players, especially Marleau, were seeking three-year terms. In the end, the Sharks got the term they were looking for, but it was only with one of the players. 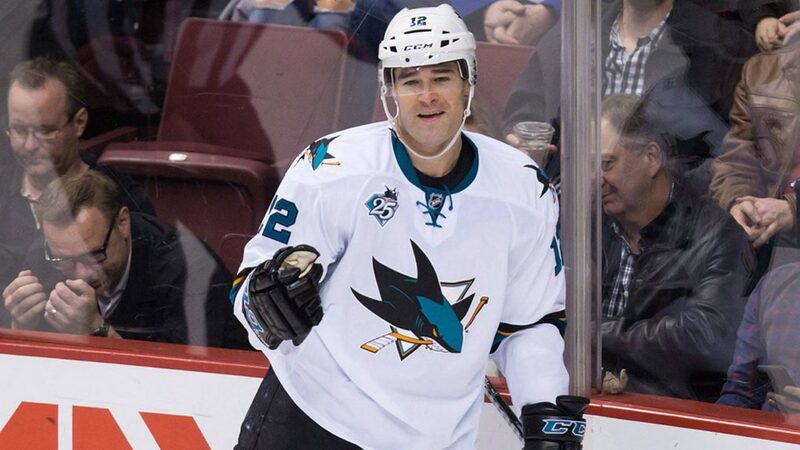 The Sharks reportedly offered Marleau a two-year deal a week before he was set to hit free agency, but he turned it down. Instead, he decided to leave San Jose, accepting a lucrative offer from the Toronto Maple Leafs. He is now the highest-paid player on the team, carrying a $6.25 million cap hit for the next three seasons. San Jose, on the other hand, is down a winger. Considering Marleau is 37 years old, it’s not shocking that San Jose didn’t want to commit long-term. The two-year deal the team proposed was reasonable, but it’s clear Marleau wanted the security of a third year. In Marleau’s defense, he still has a lot of speed in his game and has scored 27, 25, 19 and 33 goals in the past four years, respectively. Clearly, he has at least one or two solid seasons left in the tank, and Toronto decided to capitalize on his potential availability. 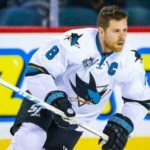 That type of money would not have made any sense for San Jose, however, especially since two massive contracts will be on the books starting next summer and the contracts of both Logan Couture and Joe Pavelski are set to expire in two years; both players should receive at least $8 million per year. It would have been irresponsible and potentially disastrous for Wilson to give Marleau that third year. Still, it’s an upsetting situation for many Sharks fans, especially since the Sharks came so close in 2016. 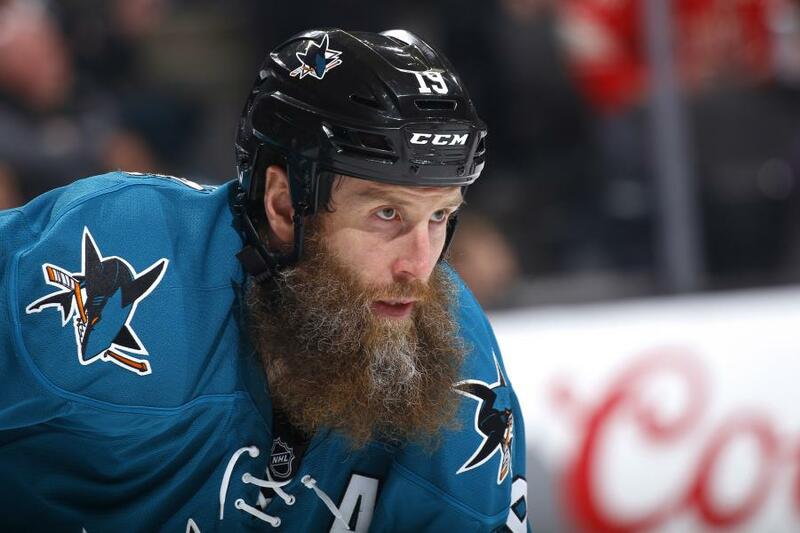 Thornton, on the other hand, signed a one-year, $8 million contract to stay in San Jose. That’s a large cap hit, but the sacrifice in term made it well worth it for Sharks management, and it’s not much more than his previous $6.75 million cap hit. This move makes total sense, especially since the team has plenty of cap room left over (around $8.7 million). It also gives the team an insurance policy in case there are any complications with Thornton’s offseason knee surgery to repair a torn ACL and MCL. Thornton may have lost a step last season, or it just could have been a down year. The team is hoping his production rate will increase, of course, but the 38-year-old remains one of the better passers in the league and is still valuable to this team on and off the ice. Outside of Thornton, Marleau, Pavelski, Burns and Couture, there are two other core members of this team that are essential to its future success: Marc-Edouard Vlasic and Martin Jones. Both players were signed to massive extensions this summer, a year in advance of their pending free agency. Defenseman Marc-Edouard Vlasic has been the unsung hero of this team for quite some time. He is one of the most underrated players in the league, but he is anything but underappreciated in San Jose. He signed an eight-year, $56 million contract extension, creating quite a splash on day one of free agency. One of the elite defensive defensemen in the game, Vlasic has seen spikes in his offensive production in the past two years. Though his numbers were down this year from a career-high 39 points in 2015-2016 to 28 this season, he still has shown an increased appetite for joining the play. In fact, he recorded a career-high 144 shots this past season but finished the year with a 4.2 percent shooting percentage, his lowest in the past three years. 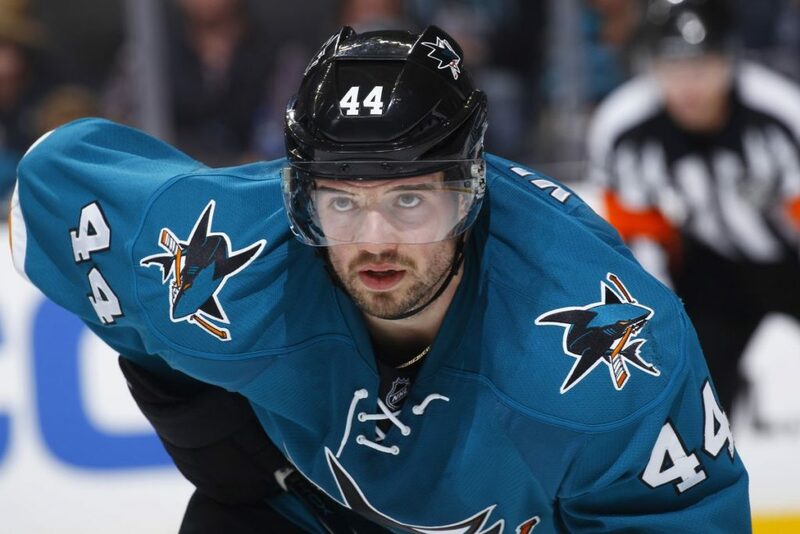 With the departure of defenseman David Schlemko in the expansion draft, it’s possible Vlasic could take on a larger role as an anchor on the team’s second power-play unit. 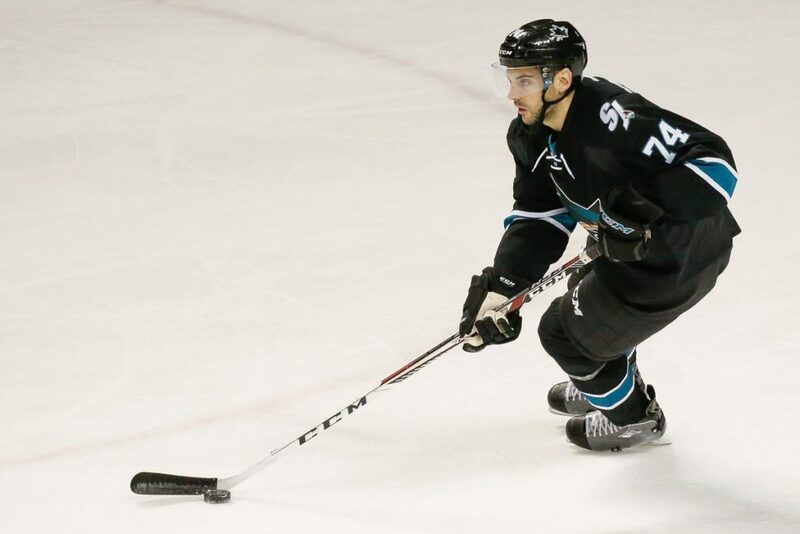 In any case, while the $7 million cap hit that kicks in starting in the 2018-2019 season is quite hefty for a defensive defenseman, Vlasic has proven himself to be an indispensable member of this team. He is worth every penny, and getting the deal done so far in advance will prevent any potential distractions once the season begins. 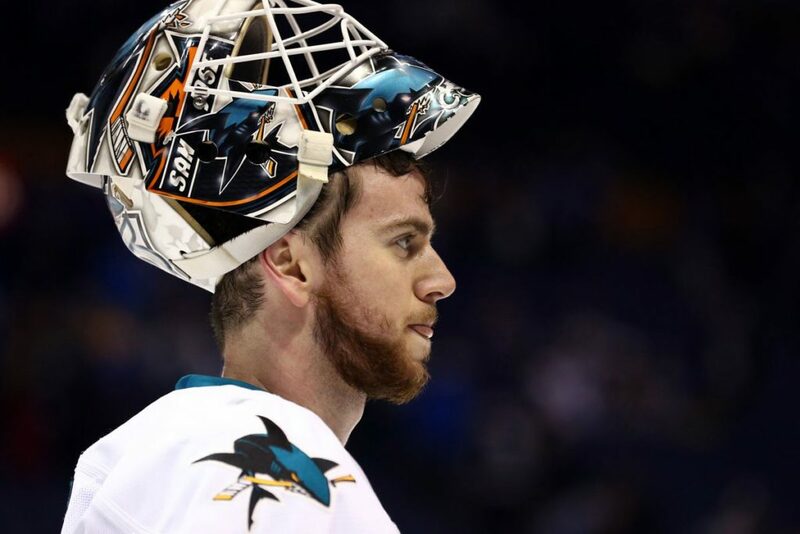 Similarly, Wilson signed goaltender Martin Jones to a six-year, $34.5 million extension. The deal carries a $5.75 million cap hit and will kick in at the start of next season. This is an exceptionally solid deal for San Jose. In the past two seasons, Jones trails just Braden Holtby of the back-to-back President’s Trophy-winning Capitals for most wins with 72. Among goalies that have played in at least 90 games over the past two years, Jones is sixth in goals-against average with a combined 2.33 GAA. 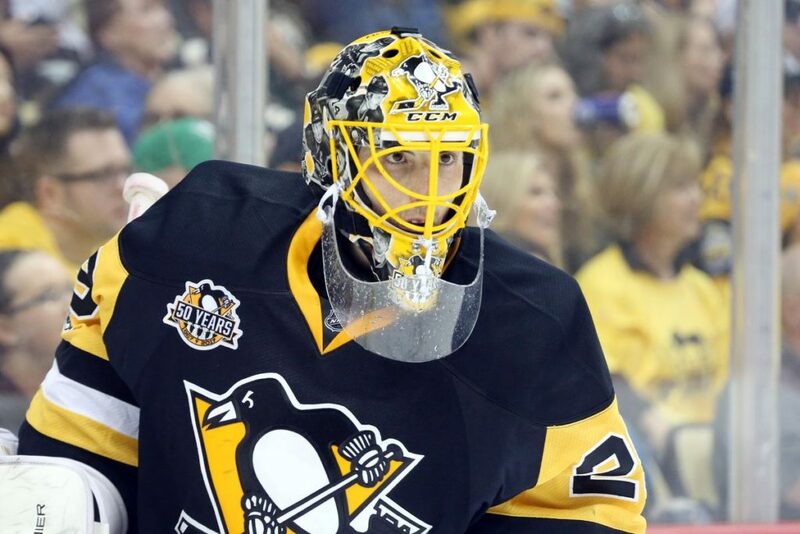 He has been a starting goalie for just two seasons but has put up 35-plus wins in each and has played a major role in taking this team from a playoff choke to a Stanley Cup finalist and a true postseason threat. If his $5.75 million cap hit were to take effect this season, it would make him the 12th-highest paid goalie in the NHL. He will still be out of the top-10 when it does take effect in 2018-2019. If Jones continues to play the way he has the past two years, this contract will be a steal, especially considering he’ll be just 28 years old when the deal kicks in. 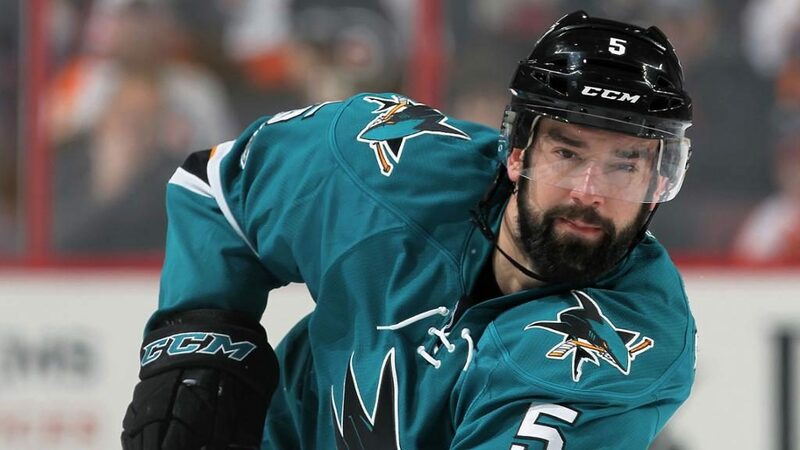 The Sharks lost defenseman David Schlemko in the Vegas Expansion Draft, and the team was forced to trade Mirco Mueller to New Jersey prior to the expansion draft so as not to lose him for nothing. That leaves some holes in the Sharks’ lineup and defensive depth. The hope is that Dylan DeMelo will step up in Schlemko’s absence, and that he and Brenden Dillon will make a strong third pairing. However, that doesn’t leave much in reserve. Sure, players like Michael Brodzinski or Joakim Ryan could step in if needed, but it doesn’t make sense that Wilson has not done more to replenish the stock. This is true especially since he has nearly $9 million of available cap space. Someone like Cody Franson on a one-year deal would be great insurance on the back end. Also, it’s surprising that he hasn’t gone out and acquired or signed another impact forward with that extra money. Signing free agents to expensive contracts often backfires, but one-year deals have become a standard in the NHL. It’s likely Wilson believes the youth throughout the roster, including Boedker, will have to step up to replace Marleau’s production. He may be right. But why not be safe and sign one of the available free agents? With Thornton’s and Tomas Hertl’s histories of injury, how could more depth that won’t have long-lasting cap effects be a bad thing? It’s possible he has something up his sleeve, but his lack of action doesn’t make much sense in the meantime. What Wilson has done, however, is re-sign important roster players, and he has done an impressive job doing so without breaking the bank. 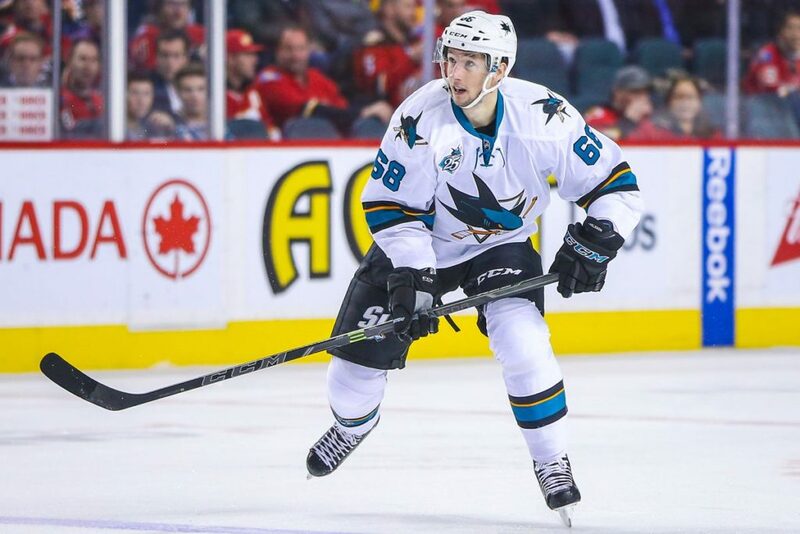 He re-signed forwards Joonas Donskoi and Melker Karlsson to short-term deals with very team-friendly cap hits. Donskoi signed a two-year deal with a $1.9 million cap hit, and Karlsson signed for three years at a $2 million average annual value. 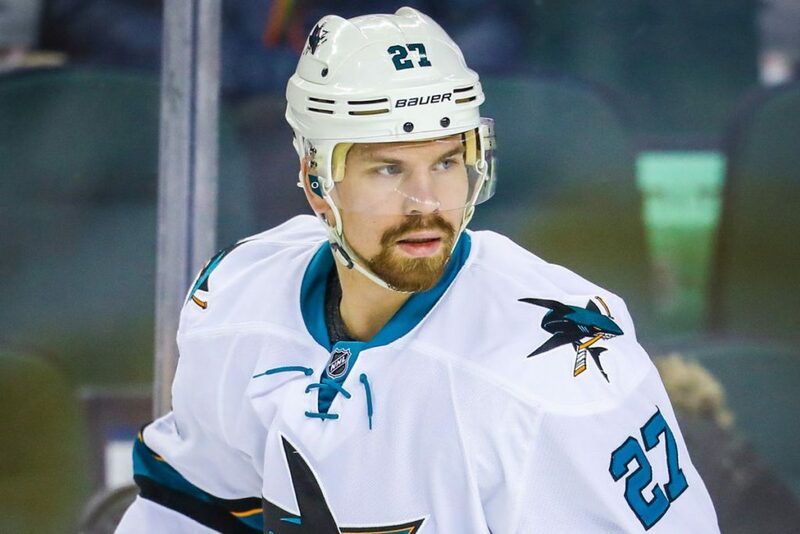 Donskoi had a very tough year, separating his shoulder and missing 21 games. He also experienced a 14-game pointless drought and was not the same player who had a compelling rookie campaign the year before. That being said, even if his production dropped by more than 50 percent, he is moving up the ranks and should spend more time back on Couture’s wing next year. Donskoi has a lot left to show, and this deal will help him do that. The same can be said of Karlsson’s $6 million extension. The 27-year-old center hasn’t gotten in a full season yet but managed 11 goals and 22 points in 67 games last season. While his numbers aren’t flashy, his versatility and ability to play in all situations and move up and down the lineup make him a valuable bottom-six forward. Karlsson is a voracious forechecker, which makes him a key member of the offense. Taking everything into consideration, Wilson has had a pretty strong offseason. Losing Marleau was tough, but Wilson undoubtedly made the right decision. That third year could have been catastrophic with Vlasic’s and Jones’ contracts kicking in next season and Couture and Pavelski due for big raises the following year. Plus, if Hertl develops into the player he is expected to be, he could command a pretty penny next summer. The Thornton deal works for both sides; Thornton gets a significant paycheck and the team gets to keep one of its best players in town while protecting itself from future cap problems. Signing Vlasic and Jones to fair deals a year in advance not only eliminates potential distraction, it gives the team security by having both locked up long-term. Replacing Marleau won’t be easy, but there are players who can step up. Boedker will have to have a much stronger season. If he can stay healthy, Hertl could take on a bigger role, possibly including power-play duties on the top unit. Former first-round pick Timo Meier also will be given a chance to make a difference. The team has been carried by its core for years; it’s time for the rest of the lineup to step up. While the Sharks could use some more depth offensively and on the back end, it’s possible Wilson will reevaluate once training camp begins. The $8.71 million of available cap space could be put to good use if necessary, though Wilson may be preserving that cap space for a potential deadline deal. Even though the team hasn’t made too many changes, the offseason activity has been responsible and sound. Wilson is thinking ahead instead of making rash decisions, which is more than a lot of general managers in this league can say. The 2016-2017 season was not kind to the Canucks, who finished 30-43-9-69, good enough for last in the Pacific Division and 29th in the NHL. The six-year, $36 million Loui Eriksson signing from last offseason proved to be disastrous as the Swedish forward produced just 11 goals and 24 points in 65 games, down from 30 goals and 63 points in 82 games the previous season. 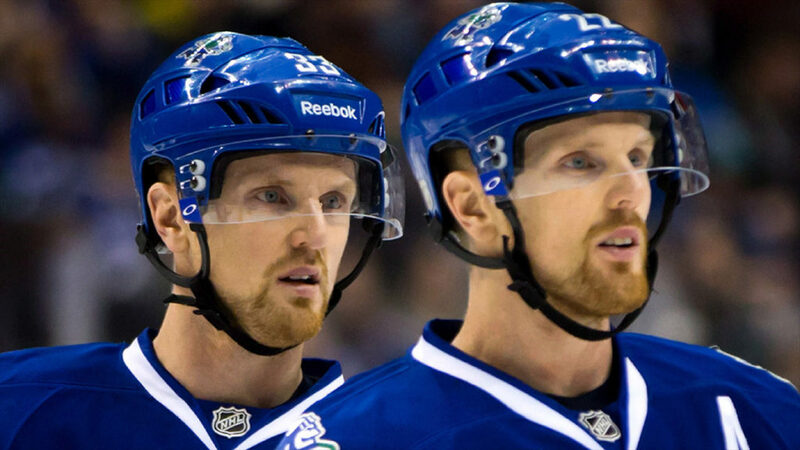 The Sedin twins had a down year, with Daniel seeing a 17-point drop in production. Veterans Alex Burrows and Jannik Hansen were moved at the deadline. Bo Horvat, with his team-leading 20 goals and 52 points, was the bright spot of the season. He, along with Sven Baertschi and Markus Granlund, showed promise, and Brock Boeser impressed with four goals and five points in nine games at the end of the year. The team brought in 6-foot-7 defenseman Nikita Tryamkin, a 22-year-old with tremendous potential, but head coach Willie Desjardins benched and misused him to the point where Tryamkin left for the KHL after one season. Vancouver is a team in rebuild mode, but the coaching and managing of this team has been detrimental to its progress. Countless situations have been mishandled over the past few years; it’s hard to believe that this team came within one win of winning the Stanley Cup in this decade. The offense and power play were 29th in the league with the penalty kill coming in right behind at 28th. Many moves have been made to improve the team, including hiring Travis Green as the new head coach. But there are still several question marks surrounding this team, especially as the Sedin’s enter the final year of their contracts. One significant move that has yet to be taken care of is re-signing forward Bo Horvat. General manager Jim Benning has been working on it all summer. New reports out of Vancouver indicate that a deal should be announced some time next week. It’s unclear if it will be a two- or three-year bridge deal or whether Benning will be able to lock him up long-term. 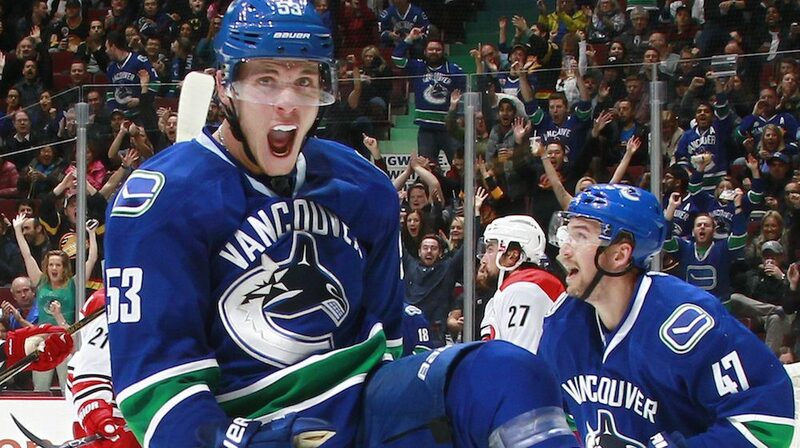 Horvat led the team in scoring last season with a team-high 20 goals and 52 points. He is not yet a superstar, but the former first-round pick is in a good position for a significant payday. Horvat is the most important player on this team moving forward and could be the future captain; he will be signed before training camp one way or another. Benning made five free-agency signings on July 1, bringing in two forwards, two defensemen and a goalie. One of those forwards is Sam Gagner, who is coming off the best season of his career. He tied his career high in goals with 18 and set a new career high in points with 50. Eighteen of those 50 points came on the man-advantage, which is one reason why Gagner is such a great signing for the Canucks. The team’s power play finished 29th in the league with a 14.1 percent conversion rate. In the past two years, the Canucks have scored on just 15 percent of the team’s power plays, which ranks dead last in the NHL. In fact, the team’s power play is ranked 30th in the league over the past five seasons combined, converting at just 16 percent. Part of the issue will be addressed by new coaching, including former assistant coach Newell Brown, who managed the team’s power play quite successfully from 2010-2013. However, Gagner should provide a boost as well. His 18 power-play points were the most in his career, and he brings versatility to the lineup with his ability to play center or wing. 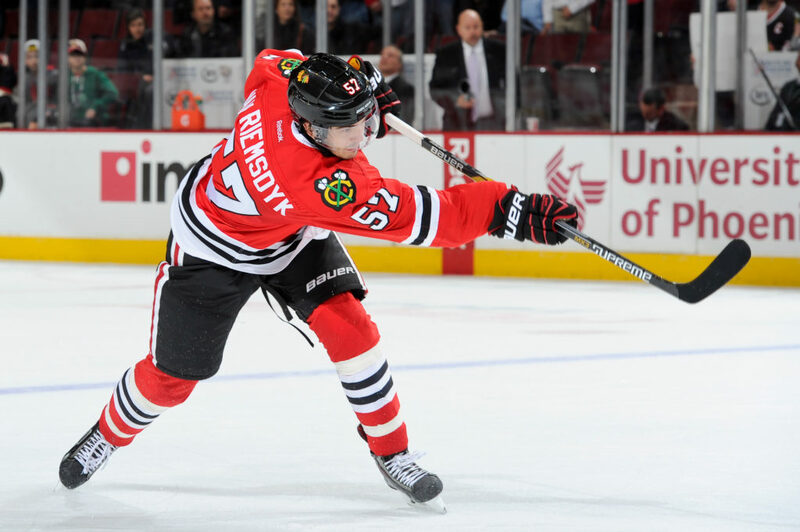 His faceoff percentage last season, 47.5 percent, was his highest since the 2011-2012 season. Gagner is not a power-play specialist but was part of a very successful unit in Columbus last season. Newell likely will bring new looks to the units, and Gagner could be a feature on the top man-advantage. He proved last year that if given an opportunity, he has plenty of skill to generate chances and convert. His three-year, $9.45 million extension was fair and reasonable given his bounce-back performance last season. Benning also signed free-agent defenseman Michael Del Zotto to a two-year, $6 million extension. 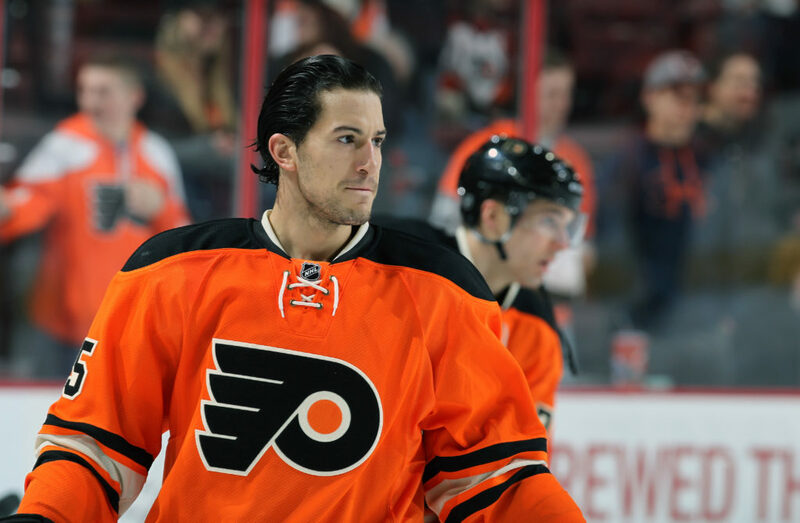 Del Zotto is coming off an injury-interrupted and injury-plagued season with the Flyers but showed a lot of versatility in his time with Philly. He has shown throughout his career that he can be relied on offensively, but when given more defensive-heavy minutes and assignments with the Flyers in 2015-2016, he was reliable and responsible. He has had some ups and downs in his career but could be entering his prime now that he’s 27 years old. It’s likely he’ll be encouraged to jump into the play in Vancouver; he scored 10 goals and 32 points in his first season with Philadelphia, and he’s scored 20-plus points four times. The main concern with Del Zotto is his ability to stay healthy. He is coming off back-to-back seasons in which he missed 30 games. However, Del Zotto is a solid top-four defenseman who can eat up 20-23 minutes a night. It’s likely he’ll anchor one of the power-play units, and he has a deceptively-lethal slap shot from the slot. If he can stay healthy, he could be a great addition to this team. Both he and Gagner can help Vancouver remain competitive during the rebuild, and both contracts carry reasonable cap hits and term. 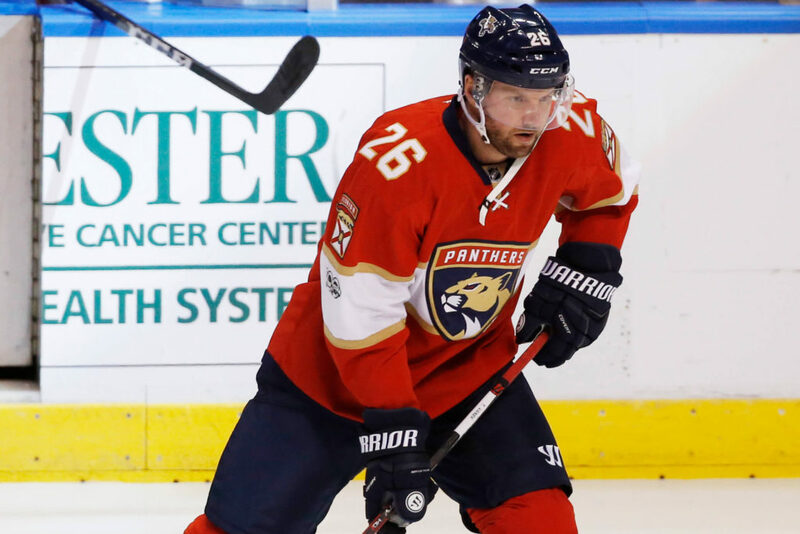 The Canucks made a splash the other day by signing free-agent winger Thomas Vanek to a one-year, $2 million contract. This is a very intelligent move by Benning, and it adds legitimate depth to the top-nine group of forwards. It’s possible the third line could be Vanek, Brandon Sutter and Gagner, which would be a very strong third line. It took most of the summer for Vanek to reach an agreement with a team, though he has signed a string of short-term deals in recent seasons. In fact, Vanek has played for six different teams since the 2013-2014 season, including Buffalo, New York (Islanders), Montreal, Minnesota, Detroit and Florida. He is a streaky scorer but is a scorer nonetheless, something Vancouver needs desperately. Vanek used to be a fairly consistent 30-goal performer but is coming off a 17-goal and 48-point campaign with Detroit and Florida. He could see time on the first line with the Sedin’s, especially if Eriksson struggles early. Plus, he should be on the top power-play unit, making it a fair assumption that he’ll reach the 20-goal and 40-point mark at the very least. The writing was on the wall for Ryan Miller to move on this summer, which he did. However, the Canucks did not quite replace him, instead signing Anders Nilsson. This perhaps was the most bizarre signing of the offseason. It makes perfect sense that Vancouver signed a goalie. However, the team’s choice of goalie as well as the contract that was awarded make it a confounding move. Nilsson was given a one-year, $2.5 million contract. 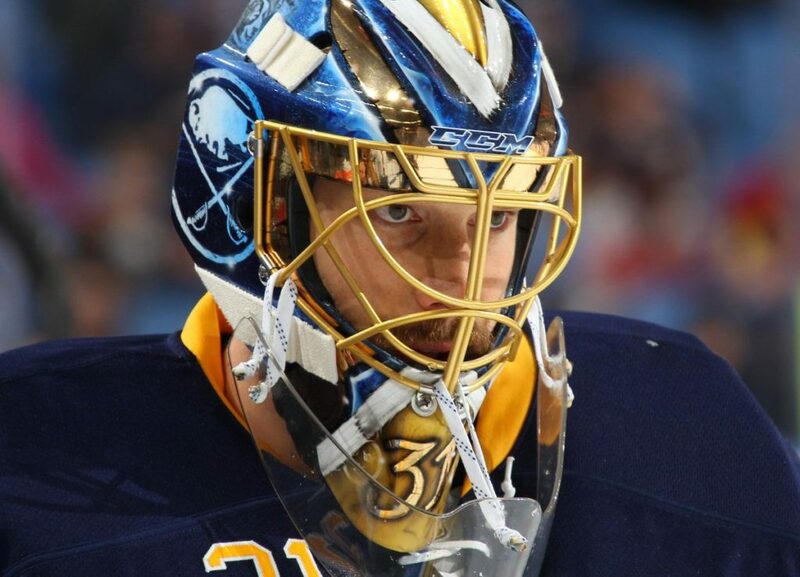 It’s unclear whether Jacob Markstrom or Nilsson will be the No. 1 starter, but it’s possible the two could compete in training camp and throughout the season. Neither has established himself as a starter, so it appears that Vancouver will give them each a chance. While this makes sense logistically, it loses clarity in the context of the Canucks’ current situation. On the one hand, the team is rebuilding, therefore it makes sense to give the 27-year-old Swedes a crack at the starter’s gig. On the other hand, though, how can Canucks management expect this team to be competitive without a real starting goaltender? Ideally, one or both goalies will put up solid enough numbers to be competitive, but those odds are against Vancouver. Thatcher Demko will have a chance to make the team out of training camp, but it makes little sense rushing his development at this time. That leaves the Canucks with Markstrom and Nilsson. Markstrom went 10-11-3 with a 2.63 goals-against average and a .910 save percentage in 23 starts last season. That 2.63 GAA is the second-lowest of his career, and he has shown improvement throughout his development. Nilsson’s numbers were nearly identical, though he was playing behind a weak team as well; he finished the year 10-10-4 with a 2.67 GAA and .923 SV%. Obviously, this was Benning’s decision and this is how the organization is going to move forward. The team has plenty of cap space and could have signed someone on a short-term deal. At the same time, it’s understandable that Benning might have wanted to avoid that, especially given the ramifications of signing Miller to a three-year, $18 million deal three seasons ago. The matter still leaves a massive hole in the lineup. 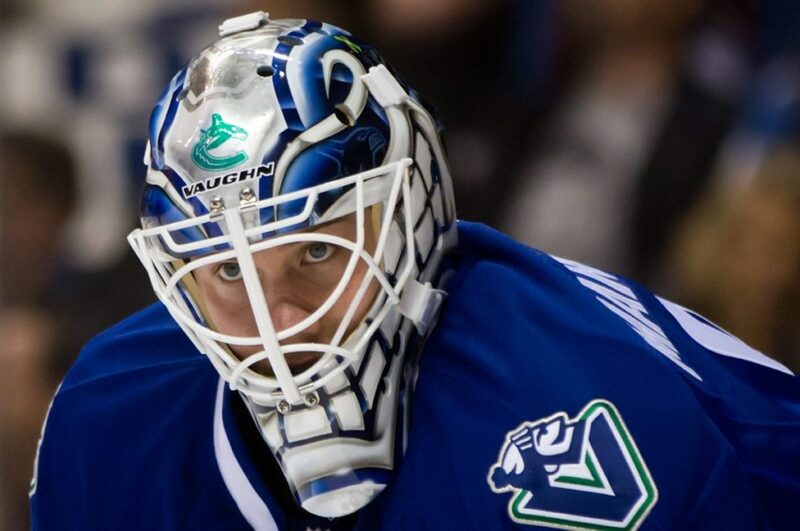 Markstrom or Nilsson could take advantage of the opportunity, but it could go either way. One thing’s for sure, though: if this team doesn’t provide much more goal support, neither goalie is going to come away with wins. Vancouver is not a playoff team. Even if everyone has a breakout year and everything goes right, the odds are not favorable considering the number of other talented teams in the Pacific Division and in the west. A lot will depend on the performance of the Sedin’s, though most expect the two to bounce back. The same can be said of Eriksson, who had a disastrous season last year. The combination of Horvat, Baertschi and Granlund should have a strong season with another year of experience under their belts, and it will be surprising if Boeser does not make the team out of camp. If he could get top-six minutes with Horvat or Sedin, he could come up with a 20-goal season and compete for the Calder. There are other strong prospects in the system, like Elias Pettersson, Olli Juolevi and Jonathan Dahlen, but they likely need more seasoning before stepping up to the big club. Dahlen will be competitive in camp, though, as his playmaking ability is top-notch. No matter who makes the team, however, the Canucks’ power play must see a marked improvement. It has been at the bottom of the league for years now, and something has to give. Goaltending will be an issue, though it’s one Benning seems content to let play out in camp and into the regular season. Markstrom and Nilsson have to prove their worth, and that could be enough motivation for one or both to step it up. Considering Vancouver is in rebuild mode, this team still has enough pieces in place to be competitive. With Alex Burmistrov, Boeser and Brendan Gaunce vying for spots, Vancouver conceivably could ice four skilled lines. However, don’t expect the Canucks to be playing meaningful hockey down the stretch. Since this is the inaugural season of the Vegas Golden Knights franchise, there is no relevant team data from last season to report. However, the roster player with the highest point total from last season is Jonathan Marchessault (30-21–51), followed by David Perron (18-28–46), James Neal (23-18–41) and Reilly Smith (15-22–37). Again, there is no relevant team data for this section of the analysis. Instead, here’s an overview of Vegas’ situation coming out of the expansion draft and heading into training camp. There definitely is some solid talent on this roster, but changes will have to be made. As it stands now, there are 11 defensemen on NHL contracts. That must be addressed this offseason, but general manager George McPhee could wait until training camp to handle the matter. For one thing, it’s important for the Vegas coaching staff and management to get to know the players and see how things shape up in camp. For another, other teams might be more desperate for help on D once training camp begins. There could be injuries, which would put McPhee and the Golden Knights in a better position to receive more in return value on a deal. The team also lacks a proven No. 1 center. Vadim Shipachyov was one of the first players signed by the team while last season was still in progress, but it’s unclear if he’s truly a first-line center in this league. He was considered a star playmaker in the KHL and is coming off an impressive 76-point campaign but has zero games of NHL experience. Vegas does have solid bottom-six centers and plenty of talent on the wings, however. An overview of all trades completed leading up to and during the expansion draft can be found here. The Golden Knights organization came into the expansion draft having more power and opportunity than any former NHL expansion franchise. 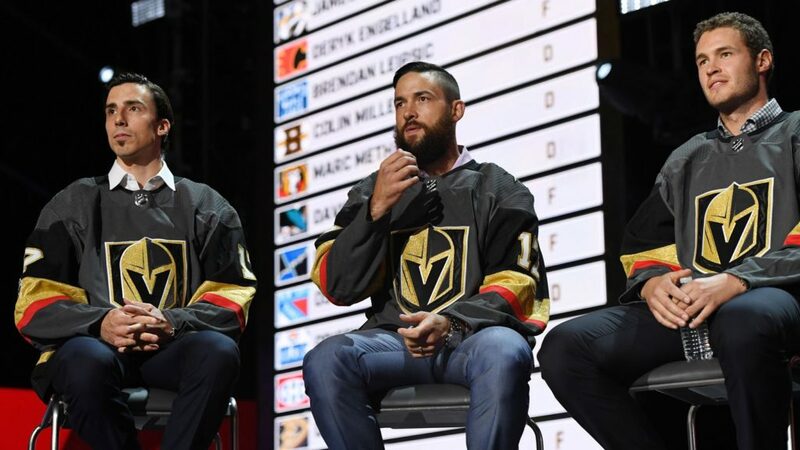 The guidelines surrounding the expansion draft were constructed to ensure that Vegas could roster a strong team, and McPhee was able to stockpile a tremendous number of draft picks and assets in the process. He added some pieces via free agency and will have to reevaluate after training camp. However, how did he do in the expansion draft? Everyone can agree he made many strong picks. 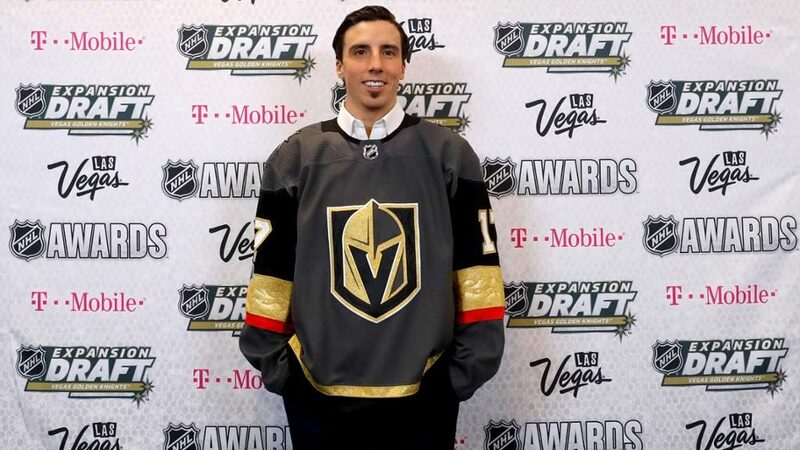 The best of those picks include Marc-Andre Fleury from Pittsburgh, James Neal from Nashville, Jonathan Marchessault and David Perron from Florida and St. Louis, respectively, and Marc Methot from Ottawa. The fact that he was able to acquire Reilly Smith from Florida, Shea Theodore from Anaheim and Alex Tuch from Minnesota was extremely impressive, as all three players bring a lot of value to the team. 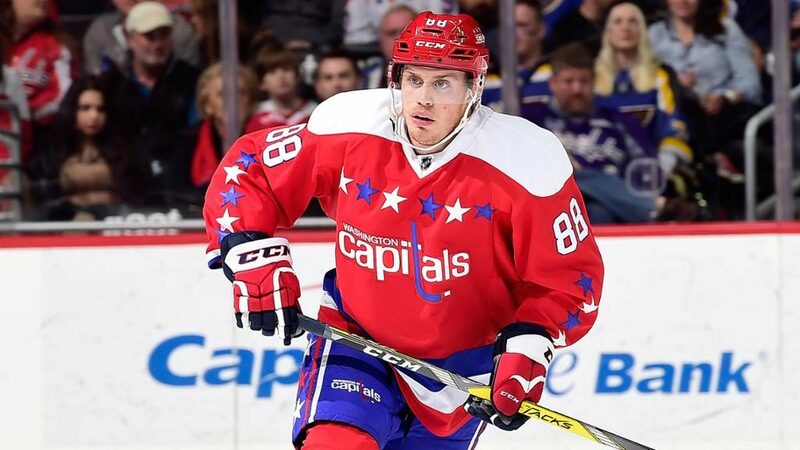 The steal of the draft, however, was defenseman Nate Schmidt. Reportedly, the Capitals tried to make a deal to protect him but McPhee’s demands were astronomical and unrealistic. Schmidt is very underrated and has a ton of potential; he is still just 26 years old and is coming off a very strong playoff performance. He was the only restricted free agent to enter arbitration this summer, but Vegas signed him to a reasonable two-year, $4.45 million contract, which carries a $2.225 million cap hit. McPhee selected 14 forwards, 13 defensemen and three goaltenders, though he let two forwards and a goalie walk after July 1. He has since traded four defensemen, as outlined below in the “D-Men Deals” section. Many expected McPhee and the Knights to take four or five goalies considering the market, but he essentially chose two considering Jean-Francois Berube was not re-signed on July 1. Overall, McPhee did a solid job with the draft. In some cases, he could have selected certain players rather than agreeing to trades with those teams. For example, he could have taken Matt Dumba from Minnesota instead of agreeing to take Erik Haula and getting Alex Tuch as part of the deal. However, that’s nearly impossible to evaluate without having been privy to those conversations. There are some other players he could have taken, however. For example, he could have selected goaltender prospect Malcolm Subban from Boston instead of defenseman Colin Miller in order to give the team more balanced depth. Similarly, Vegas could have gone with defenseman Brett Kulak from Calgary rather than the aging Vegas native Deryk Engelland. Klas Dahlbeck or Lee Stempniak would have been worthy options out of Carolina instead of Connor Brickley, who was not re-signed. Goaltender Petr Mrazek from Detroit could have been a great pick considering he would possess excellent trade value in the summer or at the deadline. Other players who would have been strong picks include Charles Hudon (Montreal), Antti Raanta (NY Rangers), Jake Dotchin (Tampa Bay) and Marko Dano (Winnipeg). In many of those cases, however, McPhee acquired first-round draft picks and other top-notch assets as part of his deals to select other players, so it’s hard to criticize his actions. All things considered, McPhee drafted a lot of solid players and acquired plenty of assets to turn this Vegas team into a powerhouse several years down the line. One surprising trend McPhee has set this offseason is giving away talented blue liners for not much in return. He traded Marc Methot to Dallas for a seventh-round goalie prospect and a 2018 second-round pick. There were at least 10 teams that expressed heavy interest in Methot, which should have driven up the price. He traded Trevor van Riemsdyk to Carolina for a second-round pick, Alexei Emelin to Nashville for a third-round pick (while retaining around $1.2 million of Emelin’s cap hit) and David Schlemko to Montreal for just a fifth-round pick. 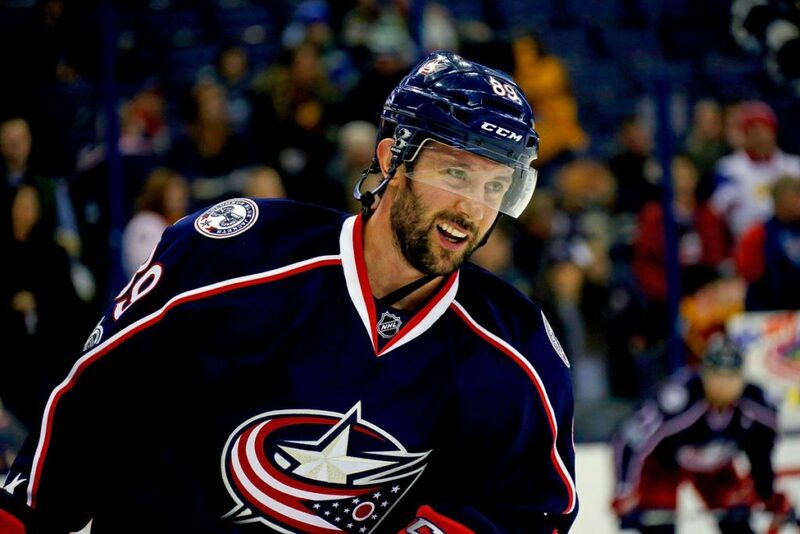 Plus, he included a sixth-round pick in the Schlemko deal and a seventh-round pick in the TVR trade. Considering the value of some of those defensemen based on skill, the market and their reasonable cap hits, McPhee could have gotten more. He still has plenty of defensemen he will have to move at some point; one would hope he will get more in return on those deals, especially since they’ll be moved closer to the start of the regular season. It’s almost impossible to evaluate the offseason of the Vegas Golden Knights since it’s not really an offseason, it’s a beginning. The team has done a lot to generate fan interest in the Vegas area, there’s a lot of hype surrounding the inaugural season and there is plenty of talent up and down the lineup. 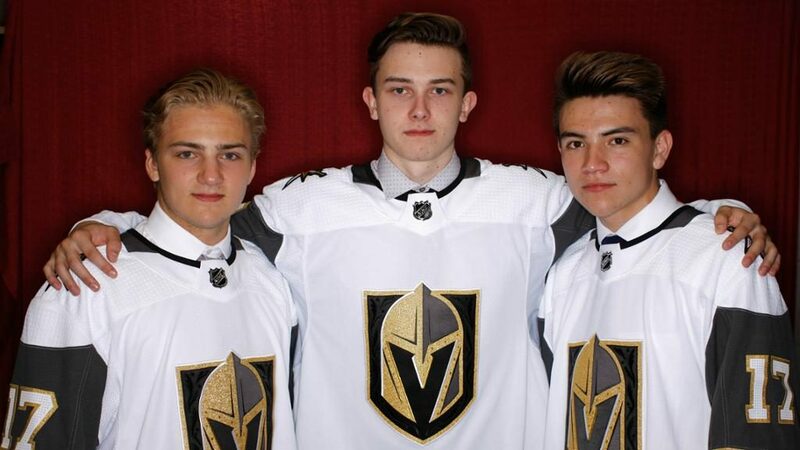 Plus, Vegas did an outstanding job at this year’s NHL Entry Draft, taking forwards Cody Glass and Nick Suzuki as well as defenseman Erik Brannstrom in the first round. All three are highly-regarded and will have time to develop as this roster takes shape. Most would agree that there is more talent on this team than many expected. 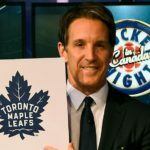 The summer has been very exciting, between the reveal of the protection lists to the announcement of the expansion draft selections to the first round of the draft to free agency and everything in between. No one knows for sure how this team will fare in the final standings this season, especially in a tough Pacific Division and a tight league. That being said, this team will not be a pushover. Vegas will be somewhat competitive this season but could become one of the more formidable teams a few years from now. Training camp will provide a preview of the season to come, but fans of every team in the league will have a chance to see an exciting team hit the ice in Vegas.